***Undraland by Mary Twomey, Mary E. Twomey. Cost: Free. Genre: YA Paranormal & Urban Fantasy, Sponsor. Rated: 4.3 stars on 337 Reviews. 335 pages. ASIN: B00W2EB844. See the Paperback Version Here. ***Pianist in a Bordello (Deal, Not Free) by Mike Erickson. Cost: $0.99. Genre: Satire Deal, Sponsor, Crazy Romp, An Honest Man Runs for Office in Corruption Plagued America, Political Fiction. Rated: 4.3 stars on 309 Reviews. 233 pages. ASIN: B015L7L5PA. ***Witch at Heart (A Jinx Hamilton Mystery Book 1) (Deal, Not Free) by Juliette Harper. Cost: $0.99. Genre: Mystery Deal, Sponsor, Supernatural Mystery, CSI meets Bewitched. Rated: 4.7 stars on 376 Reviews. 234 pages. ASIN: B018Y0PZ8Y. ***(Free for Kindle Unlimited) Witch at Odds: A Jinx Hamilton Mystery Book 2 (The Jinx Hamilton Mysteries) (Deal, Not Free) by Juliette Harper. Cost: $2.99. Genre: Mystery Deal, Sponsor, Supernatural Mystery, CSI meets Bewitched. Rated: 4.7 stars on 180 Reviews. 238 pages. ASIN: B01AYOAP5G. ***(Free for Kindle Unlimited) Witch at Last: A Jinx Hamilton Mystery Book 3 (The Jinx Hamilton Mysteries) (Deal, Not Free) by Juliette Harper. Cost: $2.99. Genre: Mystery Deal, Sponsor, Supernatural Mystery, CSI meets Bewitched. Rated: 4.6 stars on 129 Reviews. 234 pages. ASIN: B01DMBX3A2. ***(Free for Kindle Unlimited) Three Blind Dates (Dating by Numbers Series Book 1) (Deal, Not Free) by Meghan Quinn. Cost: $3.99. Genre: Adult Romantic Comedy Deal, Sponsor. Rated: 4.7 stars on 354 Reviews. 300 pages. ASIN: B078PRS2H4. ***(Free for Kindle Unlimited) Midnight Blue (Deal, Not Free) by L.J. Shen. Cost: $2.99. Genre: Adult Romance Deal, Sponsor, USA Today Bestselling Author, Innocent Babysitter, Serial Heartbreaker Rock Star. Rated: 4.9 stars on 433 Reviews. 338 pages. ASIN: B0793DH5TP. USA Today Bestselling Author L.J. Shen. **(Free for Kindle Unlimited) Australian Memories: Discover Aussie Land and the Mysterious Red Center (Travels and Adventures of Ndeye Labadens Book 1) (Deal, Not Free) by Ndeye Labadens. Cost: $1.99. Genre: Non Fiction Deal, Sponsor, Travel, Memories of Australia. Rated: 4.6 stars on 50 Reviews. 83 pages. ASIN: B01HR7OCIO. **(Free for Kindle Unlimited) Alien Invasion Sci-Fi Horror Thriller with Forbidden Love (Adult Horror Book): The Long, Lost Exit Home (Deal, Not Free) by Chris Roberts. Cost: $2.99. Genre: 18+ Romance Horror Deal, Sponsor, Dark Fantasy, If you like Dean Koontz. Rated: 4.4 stars on 56 Reviews. 408 pages. ASIN: B075Z8HY29. **Ketogenic Diet Recipes in 20 Minutes or Less: Beginner’s Weight Loss Keto Cookbook Guide (Ketogenic Cookbook, Complete Lifestyle Plan) (Deal, Not Free) by Sydney Foster. Cost: $0.99. Genre: Nonfiction Recipe Book Deal, Sponsor, Cooking, Recipes, Keto Cookbook, Ketogenic Diet, Health, Fitness & Dieting, Weight Loss, Ketogenic. Rated: 4.7 stars on 56 Reviews. 95 pages. ASIN: B078HT4KNM. **Stage Fight: How to Punch Your Fears of Public Speaking in the Face! (Deal, Not Free) by Cody Smith. Cost: $0.99. Genre: Non Fiction Deal, Sponsor, Overcome Your Fear of Public Speaking, How to Conquer Your Fear of Public Speaking, Inculcate Discipline and Courage. Rated: 5 stars on 30 Reviews. 168 pages. ASIN: B0794ZZ8LN. **(Free for Kindle Unlimited) Millennial Views: A Conservative Millennial’s look in the age of Trump (Deal, Not Free) by S Foster. Cost: $4.99. Genre: Non Fiction Deal, Sponsor, Political Essays on the Age of Trump, A Conservative Millenial Shares His Essays. Rated: 5 stars on 1 Reviews. 121 pages. ASIN: B0795BQMTG. Get it for $9.99 in Paperback, here. **The Highlander’s Awakening (Lairds of Dunkeld Series) (A Medieval Scottish Romance Story) (Deal, Not Free) by Emilia Ferguson. Cost: $0.99. Genre: Medieval Scottish Romance Deal, Sponsor, Historical Romance. Rated: 4.7 stars on 63 Reviews. 297 pages. ASIN: B0795DJ92H. **Become A Successful Virtual Assistant: Learn the Business Side & Ditch 9 to 5 (Deal, Not Free) by Melissa Smith. Cost: $0.99. Genre: How to Be a Success as a Virtual Assistant Guide Book Deal, Sponsor, Make a Good Living as a VA. Rated: 5 stars on 44 Reviews. 258 pages. ASIN: B0797C7T78. **(Box Set Deal, Not Free) MMG Box Set (Books 1-6) (Deal, Not Free) by Christian Brose. Cost: $0.99. Genre: Adult Romantic Suspense Box Set Deal, Sponsor, 6 Book Box Set. Rated: 5 stars on 25 Reviews. 999 pages. ASIN: B0799ZZF51. *To Earth and Back: The Afterlife (Deal, Not Free) by William Boardman. Price is: $2.99. Genres are: Science Fiction Adventure Deal, Sponsor. *Evolution of Insanity (Deal, Not Free) by Haresh Daswani. Cost: $4.99. Genre: Literary Fiction Deal, Sponsor, Satire, Philosophy, Philosophy, A Book that Evolves as One Reads It. Rated: 4.7 stars on 12 Reviews. 216 pages. ASIN: B004GB0JXW. *Corporate Affairs: Codes of Misconduct (Deal, Not Free) by Reece. Cost: $7.99. Genre: 18+ Romance Deal, Sponsor, Do you give in to Temptation at the workplace, Things Fall Apart. Rated: 5 stars on 1 Reviews. 344 pages. ASIN: B005CM1MH6. *The Far Side of Silence (Deal, Not Free) by Robert B. Marcus Jr. Cost: $4.99. Genre: Political Thriller Deal, Sponsor, Air Force One Shot Down, Russian President Suspected, New US President Wants to Save Him. Rated: 4.6 stars on 23 Reviews. 376 pages. ASIN: B00ENOVQSY. Get this book’s paperback’s version here. *(Free for Kindle Unlimited) Little Girls and Birthstone Rings (Deal, Not Free) by Kathy Williams. Cost: $21.99. Genre: Mystery Deal, Sponsor, Thriller & Suspense. Rated: 4 stars on 1 Reviews. 4 pages. ASIN: B00KXH9IQC. Please Note: The ebook price is $21.99 and not $2.99. It is, however, FREE for Kindle Unlimited. *Midnight’s Edge: The Secrets of Sleepy Meadows (Deal, Not Free) by David Chappuis. Cost: $0.99. Genre: Occult Horror Deal, Sponsor, A Dead Husband, Comes Back to Take Revenge Against His Wife and Those Who Wronged Him. Rated: 5 stars on 4 Reviews. 213 pages. ASIN: B0174F4CQQ. *Secrets of Sand Mountain (Deal, Not Free) by Philip C. Elrod. Cost: $2.99. Genre: Historical Fiction Deal, Sponsor, 1944, An Escaped German Prisoner of War. Rated: 4.8 stars on 21 Reviews. 416 pages. ASIN: B0198RCK3A. *The Alien Club (Deal, Not Free) by Trel Sidoruk, Aleksandra Klepacka, Lauren Sidoruk. Cost: $0.99. Genre: Literary Fiction Deal, Sponsor, Coming of Age. Rated: 4.9 stars on 15 Reviews. 361 pages. ASIN: B01A9IBB9Q. *(Free for Kindle Unlimited) Robert Machin (Deal, Not Free) by Scott Richards. Cost: $2.99. Genre: Mystery Deal, Sponsor, A Traditional Mystery Story. Rated: 5 stars on 1 Reviews. 254 pages. ASIN: B01BPGMMUS. *(Free for Kindle Unlimited) Dragon Knight Chronicles Book 1: The Awakening (Deal, Not Free) by Andrew Wichland. Cost: $2.99. Genre: Science Fiction Deal, Sponsor, Mythology. Rated: 4.5 stars on 16 Reviews. 122 pages. ASIN: B01GAFBQGA. *Children of the Wise Oak (Deal, Not Free) by Oliver J. Tooley. Cost: $0.99. Genre: Fiction Deal, Sponsor, Family drama, A story of Abuse. Rated: 4.7 stars on 13 Reviews. 280 pages. ASIN: B01GM1G1P8. *Born For Adversity (The CASA Chronicles Book 2) (Deal, Not Free) by Keith Julius. Cost: $0.99. Genre: Fiction Deal, Sponsor, Family drama, A story of Abuse. Rated: 5 stars on 2 Reviews. 285 pages. ASIN: B01M0ZM3S5. ISBN: 0996960759. *Playbook Strategy to stand out like a BUSINESS GIANT (Deal, Not Free) by Ndeye Labadens. Cost: $0.99. Genre: Non Fiction Deal, Sponsor, Small Business & Entrepreneurship, Help Your Business Thrive and Succeed. For remaining guaranteed. Rated: 4.4 stars on 7 Reviews. 102 pages. ASIN: B01M1BO08D. *The Veil (Testaments I and II) (Deal, Not Free) by Joseph D’Lacey. Cost: $0.99. Genre: Military Science Fiction Deal, Sponsor, Post Apocalyptic Science Fiction. Rated: 4.4 stars on 9 Reviews. 144 pages. ASIN: B01M9JP3EU. *Prayer for Peace: The Saga of a Korean War Survivor (Deal, Not Free) by Aesop Rhim. Cost: $9.99. Genre: Biographical Fiction Deal, Sponsor, Korean War Survivor. Rated: 5 stars on 1 Reviews. 190 pages. ASIN: B01N13A1WJ. *Skin (Deal, Not Free) by Rick Dallison. Cost: $5.99. Genre: Science Fiction Deal, Sponsor, 2019, A Deadly Virus. Rated: 5 stars on 1 Reviews. 552 pages. ASIN: B01N2TMNA0. *Risk Management in Organizations: A Basic Introduction (Deal, Not Free) by Allison Shearsett, Louis Bevoc. Cost: $0.99. Genre: Risk Management Deal, Sponsor, Non Fiction, Organizational Psychology. Rated: 5 stars on 1 Reviews. 37 pages. ASIN: B01N7IZG4P. *Raising the Bottom: Making Mindful Choices in a Drinking Culture (Deal, Not Free) by Lisa Boucher. Cost: $8.69. Genre: Avoid Cultural Pressure to Drink Excessively Deal, Sponsor, Non Fiction, Avoid Heartbreak and Destruction of Alcoholism. Rated: 5 stars on 24 Reviews. 278 pages. ASIN: B06WV7K44D. *(Free for Kindle Unlimited) The Battle of Barkow (Deal, Not Free) by Paul Simmonds. Cost: $2.99. Genre: Fantasy Deal, Sponsor, Dark vs Light. Rated: 4 stars on 1 Reviews. 422 pages. ASIN: B06XK7YDBX. ISBN: 1520844875. See Paperback Here. *The Prick (Deal, Not Free) by D.C. Wales. Cost: $5.5. Genre: Humor Deal, Sponsor, Satire, Lawyers Drama. Rated: 4.5 stars on 20 Reviews. 329 pages. ASIN: B06ZZK4C1J. Also, it has a good – looking paperback version at $19.50. *Intrinsic (Deal, Not Free) by Jerry Collins. Cost: $0.99. Genre: Epic Fantasy Deal, Sponsor, Myths. Rated: 4 stars on 40 Reviews. 177 pages. ASIN: B071XWBYQX. See the Epic Trailer Here! *If Nobody Listens (Deal, Not Free) by Rikard Sommer. Cost: $0.99. Genre: Thriller Deal, Sponsor, Technothriller. Rated: 4.4 stars on 9 Reviews. 275 pages. ASIN: B072N3Z81S. *(Free for Kindle Unlimited) Heaven Is a Gay Bar (Deal, Not Free) by Bryan Foreman. Cost: $2.99. Genre: Biographical Fiction Deal, Sponsor, Perhaps it wasn’t really wasted time. Rated: 4.5 stars on 3 Reviews. 349 pages. ASIN: B072YDP98Y. *Kings Of This World (Deal, Not Free) by Peter Bailey. Cost: $5.39. Genre: Science Fiction Deal, Sponsor, Alien Invasion, The World Falling Apart. Rated: 4.4 stars on 5 Reviews. 306 pages. ASIN: B073BZ1R2G. ISBN: 1548399469. *The Mystery of God: A Scriptural Picture of The End of This Age (Deal, Not Free) by Thomas Watts. Cost: $6.99. Genre: Christian Devotional Deal, Sponsor, Bible Study, Prophecies, Who will be in control. Rated: 4.7 stars on 9 Reviews. 133 pages. ASIN: B073GF6Q59. *Diaspora: Return To Africa (Deal, Not Free) by K.A. Gendo. Cost: $0.99. Genre: Fantasy Deal, Sponsor, Magical Realism. Rated: 4 stars on 1 Reviews. 275 pages. ASIN: B073P7D4YM. *Porcelain Faith (Deal, Not Free) by Anthony Civiletti. Cost: $0.99. Genre: Women’s Fiction Deal, Sponsor, A Compelling and Complicated Story. Rated: 4.9 stars on 11 Reviews. 324 pages. ASIN: B0742H5RFL. *A Guide to Higher Education: A Pathway to Securing Admissions, Scholarships, and Employment (Deal, Not Free) by Godsway Korku Tetteh. Cost: $0.99. Genre: Non Fiction Deal, Sponsor, Higher & Continuing Education, Guide to Higher Education. Rated: 5 stars on 1 Reviews. 79 pages. ASIN: B074834L7G. ISBN: 1546454217. *The Chapel Wedding (Deal, Not Free) by Benito Heyliger. Cost: $0.99. Genre: Romance Deal, Sponsor, Simple Romance, A Wedding, Things Keep Going Wrong, Can A Perfect Love Overcome It All. Rated: 5 stars on 1 Reviews. 70 pages. ASIN: B074FVKSH2. *Siphoners (Soul Burn Book 1) (Deal, Not Free) by Evan Bollinger. Cost: $0.99. Genre: Paranormal Suspense Deal, Sponsor, Vampires, Siphoners Lose Control, Adult Scenes. Rated: 4 stars on 24 Reviews. 332 pages. ASIN: B074FX35NK. *Skilfully Created To Make A Difference: Learn How To Achieve Your Dreams And Leave A Legacy (Deal, Not Free) by Anita Walkinshaw. Cost: $7.99. Genre: Christian Non Fiction Deal, Sponsor, Christian Self Help, Discover Your Purpose. Rated: 5 stars on 1 Reviews. 205 pages. ASIN: B074M6J65W. The Paperback is going for $17. *Legacy of Dreams: Freedom (Deal, Not Free) by Thomas J. L. Green. Cost: $0.99. Genre: Fantasy Deal, Sponsor, Great World Building, Adult Content. Rated: 4.6 stars on 3 Reviews. 546 pages. ASIN: B0753DTYWL. *Breaking Bonds: The Second Vampire War, Book One (Deal, Not Free) by Lori J. Kemper. Cost: $0.99. Genre: Science Fiction Deal, Sponsor, Genetic Engineering, Post Apocalyptic World of Vampires, Some Adult Content. Rated: 4.2 stars on 3 Reviews. 429 pages. ASIN: B07565H45S. ISBN: 1549628054. *Project Managers at Work (Deal, Not Free) by Bruce Harpham. Cost: $16.19. Genre: Non Fiction Deal, Sponsor, Business, Interviews with Top Project Managers, Laern from the Best. Rated: 5 stars on 3 Reviews. 316 pages. ASIN: B0756VGKZ1. It’s economical to get the paperback at $21.92. ***Undraland by Mary Twomey, Mary E. Twomey. Cost: Free. Genre: YA Fantasy, Sponsor, Coming of Age. Rated: 4.3 stars on 337 Reviews. 335 pages. ASIN: B00W2EB844. See the Paperback Version Here. ***Witch at Heart (A Jinx Hamilton Mystery Book 1) (Deal, Not Free) by Juliette Harper. Cost: $0.99. Genre: Urban Fantasy Deal, Sponsor. Rated: 4.7 stars on 376 Reviews. 234 pages. ASIN: B018Y0PZ8Y. ***(Free for Kindle Unlimited) Witch at Odds: A Jinx Hamilton Mystery Book 2 (The Jinx Hamilton Mysteries) (Deal, Not Free) by Juliette Harper. Cost: $2.99. Genre: Urban Fantasy Deal, Sponsor. Rated: 4.7 stars on 180 Reviews. 238 pages. ASIN: B01AYOAP5G. ***(Free for Kindle Unlimited) Witch at Last: A Jinx Hamilton Mystery Book 3 (The Jinx Hamilton Mysteries) (Deal, Not Free) by Juliette Harper. Cost: $2.99. Genre: Urban Fantasy Deal, Sponsor. Rated: 4.6 stars on 129 Reviews. 234 pages. ASIN: B01DMBX3A2. ***(Free for Kindle Unlimited) Midnight Blue (Deal, Not Free) by L.J. Shen. Cost: $2.99. Genre: Adult Romance Deal, Sponsor, USA Today Bestselling Author, Innocent. Rated: 4.9 stars on 433 Reviews. 338 pages. ASIN: B0793DH5TP. USA Today Bestselling Author L.J. Shen. **Rose Petal Graves (The Lost Clan Book 1) (Deal, Not Free) by Olivia Wildenstein. Cost: $0.99. Genre: YA Historical Fiction Deal, Sponsor, USA Today Bestselling Author, Ancient Civilizations. Rated: 4.3 stars on 91 Reviews. 377 pages. ASIN: B01MR473RE. USA Today Bestselling Author Olivia Wildenstein. **Stage Fight: How to Punch Your Fears of Public Speaking in the Face! (Deal, Not Free) by Cody Smith. Cost: $0.99. Genre: Non Fiction Deal, Sponsor, Conquer the fear Public Speaking, Have Powerful Stage Presence. Rated: 5 stars on 30 Reviews. 168 pages. ASIN: B0794ZZ8LN. **The Highlander’s Awakening (Lairds of Dunkeld Series) (A Medieval Scottish Romance Story) (Deal, Not Free) by Emilia Ferguson. Cost: $0.99. Genre: Ancient World Romance Deal, Sponsor, Scottish Historical Romance. Rated: 4.7 stars on 63 Reviews. 297 pages. ASIN: B0795DJ92H. **(Box Set Deal, Not Free) MMG Box Set (Books 1-6) (Deal, Not Free) by Christian Brose. Cost: $0.99. Genre: Adult Romance Box Set Deal, Sponsor, 6 Book Box Set, Mystery & Suspense. Rated: 5 stars on 25 Reviews. 999 pages. ASIN: B0799ZZF51. *Secrets of the Purple Star Astrology (Deal, Not Free) by Eugene Lee. Cost: $23.99. Genre: Non Fiction Astrology Guide Deal, Sponsor, Purple Star Astrology, Chinese Astrology. Rated: 4 stars on 3 Reviews. 760 pages. ASIN: 1456302302. *(Free for Kindle Unlimited) Great Idea, Fanny! (Deal, Not Free) by Maureen Baggett. Cost: $2.99. Genre: Children’s Book Deal, Sponsor, Farm Animals, Misadventures of a City Girl, Humorous. Rated: 5 stars on 3 Reviews. 46 pages. ASIN: B017PJONC4. *Secrets of Sand Mountain (Deal, Not Free) by Philip C. Elrod. Cost: $2.99. Genre: Action Thriller Deal, Sponsor, An escaped German prisoner of war, World War II. Rated: 4.8 stars on 21 Reviews. 416 pages. ASIN: B0198RCK3A. *(Free for Kindle Unlimited) Dragon Knight Chronicles Book 1: The Awakening (Deal, Not Free) by Andrew Wichland. Cost: $2.99. Genre: Fantasy Deal, Sponsor, Good Vs Evil. Rated: 4.5 stars on 16 Reviews. 122 pages. ASIN: B01GAFBQGA. *Children of the Wise Oak (Deal, Not Free) by Oliver J. Tooley. Cost: $0.99. Genre: Children’s Fantasy Deal, Sponsor. Rated: 4.7 stars on 13 Reviews. 280 pages. ASIN: B01GM1G1P8. *Born For Adversity (The CASA Chronicles Book 2) (Deal, Not Free) by Keith Julius. Cost: $0.99. Genre: Fiction Deal, Sponsor, Child Abuse Mystery, Family Mystery, What is Going on in This Family. Rated: 5 stars on 2 Reviews. 285 pages. ASIN: B01M0ZM3S5. ISBN: 0996960759. *Playbook Strategy to stand out like a BUSINESS GIANT (Deal, Not Free) by Ndeye Labadens. Cost: $0.99. Genre: Non Fiction Deal, Sponsor, Small Business & Entrepreneurship, Help Your Business Thrive and Succeed. Rated: 4.4 stars on 7 Reviews. 102 pages. ASIN: B01M1BO08D. *The Veil (Testaments I and II) (Deal, Not Free) by Joseph D’Lacey. Cost: $0.99. Genre: Science Fiction Deal, Sponsor, Dystopian, Survivors in an Abandoned World. Rated: 4.4 stars on 9 Reviews. 144 pages. ASIN: B01M9JP3EU. *Prayer for Peace: The Saga of a Korean War Survivor (Deal, Not Free) by Aesop Rhim. Cost: $9.99. Genre: Christian Living Deal, Sponsor, Prayer for Peace, Christian Memoirs. Rated: 5 stars on 1 Reviews. 190 pages. ASIN: B01N13A1WJ. *Skin (Deal, Not Free) by Rick Dallison. Cost: $5.99. Genre: Suspense Thriller Deal, Sponsor, Post Apocalyptic, Dystopian. Rated: 5 stars on 1 Reviews. 552 pages. ASIN: B01N2TMNA0. *Raising the Bottom: Making Mindful Choices in a Drinking Culture (Deal, Not Free) by Lisa Boucher. Cost: $8.69. Genre: Self Help Deal, Sponsor, Avoid Alcoholism, Personal Stories, Having Fun without Alcohol, Non Fiction. Rated: 5 stars on 24 Reviews. 278 pages. ASIN: B06WV7K44D. *(Free for Kindle Unlimited) The Battle of Barkow (Deal, Not Free) by Paul Simmonds. Cost: $2.99. Genre: Fantasy Adventure Deal, Sponsor. Rated: 4 stars on 1 Reviews. 422 pages. ASIN: B06XK7YDBX. ISBN: 1520844875. See Paperback Here. *Flings With Rings: Book One in The Twisted Rings Series (Deal, Not Free) by Katerina Sestakova Novotna. Cost: $0.99. Genre: Literary Fiction Deal, Sponsor, Deep Conversation about Relationship. Rated: 4.4 stars on 16 Reviews. 107 pages. ASIN: B06XKG3R3Q. ISBN: 1544670311. *Dreamscape by Kerry Reed. Cost: $0.99. Genre: Fantasy Romance Deal, Sponsor, Beautiful Story. Rated: 5 stars on 25 Reviews. 434 pages. ASIN: B06ZXZ74B4. *BEHIND CIVILISATION (Deal, Not Free) by GAVIN HUANG. Cost: $0.99. Genre: Non Fiction Deal, Sponsor, Evolution of the Universe, Relationship with Human Civilization. Rated: 5 stars on 1 Reviews. 349 pages. ASIN: B0732PBST4. *Kings Of This World (Deal, Not Free) by Peter Bailey. Cost: $5.39. Genre: Survival Horror Deal, Sponsor, A World Falling Apart, Alien Invasion, Human Harvesting. Rated: 4.4 stars on 5 Reviews. 306 pages. ASIN: B073BZ1R2G. ISBN: 1548399469. *The Mystery of God: A Scriptural Picture of The End of This Age (Deal, Not Free) by Thomas Survival Horror Deal, Sponsor, A World Falling Apart, Alien Invasion, Human HarvestingWatts. Cost: $6.99. Genre: Christian Book Deal, Sponsor, Theology, Eschatology, Biblical Prophecy. Rated: 4.7 stars on 9 Reviews. 133 pages. ASIN: B073GF6Q59. *Porcelain Faith (Deal, Not Free) by Anthony Civiletti. Cost: $0.99. Genre: Gay Fiction Deal, Sponsor, Disowned by his Pastor Father, His Prom Date tries to end the Estrangement, What is Gender. Rated: 4.9 stars on 11 Reviews. 324 pages. ASIN: B0742H5RFL. *A Guide to Higher Education: A Pathway to Securing Admissions, Scholarships, and Employment (Deal, Not Free) by Godsway Korku Tetteh. Cost: $0.99. Genre: Non Fiction Book Deal, Sponsor, Higher & Continuing Education, Guide to Higher Education. Rated: 5 stars on 1 Reviews. 79 pages. ASIN: B074834L7G. ISBN: 1546454217. *Siphoners (Soul Burn Book 1) (Deal, Not Free) by Evan Bollinger. Cost: $0.99. Genre: Supernatural Thriller Deal, Sponsor, Psychics, Adult Scenes. Rated: 4 stars on 24 Reviews. 332 pages. ASIN: B074FX35NK. ***Unloved, a love story (Deal, Not Free) by Katy Regnery. Cost: $0.99. Genre: Steamy Romance Deal, Sponsor, Blend of Action & Romance, Epic Love Story, RITA Nominee. Rated: 4.7 stars on 300 Reviews. 372 pages. ASIN: B0768SBL7B. NY Times Bestselling Author Katy Regnery. ***Pianist in a Bordello (Deal, Not Free) by Mike Erickson. Cost: $0.99. Genre: Dry Self Mocking Humor Deal, Sponsor, Political Satire, Fiction. Rated: 4.3 stars on 309 Reviews. 233 pages. ASIN: B015L7L5PA. ***Memoirs of a Time Traveler (Time Amazon Book 1) (Deal, Not Free) by Doug Molitor. Cost: $0.99. Genre: Time Travel Thriller Deal, Sponsor, Adventure Thriller. Rated: 4.1 stars on 101 Reviews. 222 pages. ASIN: B078L82R4N. ***(Free for Kindle Unlimited) Three Blind Dates (Dating by Numbers Series Book 1) (Deal, Not Free) by Meghan Quinn. Cost: $3.99. Genre: Adult Romance Deal, Sponsor, Blind Dates, A suit, rebel, or the jock, Who will she choose. Rated: 4.7 stars on 354 Reviews. 300 pages. ASIN: B078PRS2H4. ***(Free for Kindle Unlimited) Midnight Blue (Deal, Not Free) by L.J. Shen. Cost: $2.99. Genre: Adult Contemporary Romance Deal, Sponsor, USA Today Bestselling Author, Babysitter and Rockstar Romance. Rated: 4.9 stars on 433 Reviews. 338 pages. ASIN: B0793DH5TP. USA Today Bestselling Author L.J. Shen. **(Free for Kindle Unlimited) Australian Memories: Discover Aussie Land and the Mysterious Red Center (Travels and Adventures of Ndeye Labadens Book 1) (Deal, Not Free) by Ndeye Labadens. Cost: $1.99. Genre: Biographies & Memoirs Deal, Sponsor, Travel Memoirs, A Journey through Australia. Rated: 4.6 stars on 50 Reviews. 83 pages. ASIN: B01HR7OCIO. **Rose Petal Graves (The Lost Clan Book 1) (Deal, Not Free) by Olivia Wildenstein. Cost: $0.99. Genre: YA Fantasy Deal, Sponsor, USA Today Bestselling Author, Ancient Civilizations. Rated: 4.3 stars on 91 Reviews. 377 pages. ASIN: B01MR473RE. USA Today Bestselling Author Olivia Wildenstein. **(Free for Kindle Unlimited) Alien Invasion Sci-Fi Horror Thriller with Forbidden Love (Adult Horror Book): The Long, Lost Exit Home (Deal, Not Free) by Chris Roberts. Cost: $2.99. Genre: 18+ Romance Science Fiction Deal, Sponsor, Alien Invasion, First Contact. Rated: 4.4 stars on 56 Reviews. 408 pages. ASIN: B075Z8HY29. **(Free for Kindle Unlimited) Millennial Views: A Conservative Millennial’s look in the age of Trump (Deal, Not Free) by S Foster. Cost: $4.99. Genre: Non Fiction Deal, Sponsor, Political Thoughts and Views, A Conservative Millenial Shares His Views. Rated: 5 stars on 1 Reviews. 121 pages. ASIN: B0795BQMTG. Get it for $9.99 in Paperback, here. *Secrets of the Purple Star Astrology (Deal, Not Free) by Eugene Lee. Cost: $23.99. Genre: Non Fiction Rare Gem Deal, Sponsor, Secrets of Chinese purple Star Astrology. Rated: 4 stars on 3 Reviews. 760 pages. ASIN: 1456302302. *Corporate Affairs: Codes of Misconduct (Deal, Not Free) by Reece. Cost: $7.99. Genre: 18+ Fiction Deal, Sponsor, The Severe Consequences of Satisfying Workplace Sexual Urges. Rated: 5 stars on 1 Reviews. 344 pages. ASIN: B005CM1MH6. *Midnight’s Edge: The Secrets of Sleepy Meadows (Deal, Not Free) by David Chappuis. Cost: $0.99. Genre: Horror Deal, Sponsor, Revenge from Beyond the Grave. Rated: 5 stars on 4 Reviews. 213 pages. ASIN: B0174F4CQQ. *(Free for Kindle Unlimited) Dragon Knight Chronicles Book 1: The Awakening (Deal, Not Free) by Andrew Wichland. Cost: $2.99. Genre:YA Science Fiction Deal, Sponsor. Rated: 4.5 stars on 16 Reviews. 122 pages. ASIN: B01GAFBQGA. *Children of the Wise Oak (Deal, Not Free) by Oliver J. Tooley. Cost: $0.99. Genre: YA Deal, Sponsor, Myths & Legends, Greek & Roman Myths & Legends. Rated: 4.7 stars on 13 Reviews. 280 pages. ASIN: B01GM1G1P8. *Playbook Strategy to stand out like a BUSINESS GIANT (Deal, Not Free) by Ndeye Labadens. Cost: $0.99. Genre: Non Fiction Deal, Sponsor, Score Success in Your Life, A Playbook Strategy to Reach the Top of Your Game. Rated: 4.4 stars on 7 Reviews. 102 pages. ASIN: B01M1BO08D. *The Veil (Testaments I and II) (Deal, Not Free) by Joseph D’Lacey. Cost: $0.99. Genre: Post-Apocalyptic Science Fiction Deal, Sponsor, Lost Population. Rated: 4.4 stars on 9 Reviews. 144 pages. ASIN: B01M9JP3EU. *Prayer for Peace: The Saga of a Korean War Survivor (Deal, Not Free) by Aesop Rhim. Cost: $9.99. Genre: Christian Living Deal, Sponsor, Christian Memoirs. Rated: 5 stars on 1 Reviews. 190 pages. ASIN: B01N13A1WJ. *(Free for Kindle Unlimited) The Battle of Barkow (Deal, Not Free) by Paul Simmonds. Cost: $2.99. Genre: Epic Fantasy Deal, Sponsor. Rated: 4 stars on 1 Reviews. 422 pages. ASIN: B06XK7YDBX. ISBN: 1520844875. See Paperback Here. *Flings With Rings: Book One in The Twisted Rings Series (Deal, Not Free) by Katerina Sestakova Novotna. Cost: $0.99. Genre: Women’s Fiction Deal, Sponsor, Female Psyche, Woman Collecting Engagement Rings off Men. Rated: 4.4 stars on 16 Reviews. 107 pages. ASIN: B06XKG3R3Q. ISBN: 1544670311. *Dreamscape by Kerry Reed. Cost: $0.99. Genre: YA Romance Deal, Sponsor, Darkness beneath the Beauty. Rated: 5 stars on 25 Reviews. 434 pages. ASIN: B06ZXZ74B4. *The Prick (Deal, Not Free) by D.C. Wales. Cost: $5.5. Genre: Legal Thriller written by a Lawyer Deal, Sponsor. Rated: 4.5 stars on 20 Reviews. 329 pages. ASIN: B06ZZK4C1J. Also, it has a good – looking paperback version at $19.50. *Maker: It’s Time For An Ambush (Deal, Not Free) by Jester Bobbity. Cost: $9.99. Genre: Fantasy Deal, Sponsor, Warlocks vs Demons. Rated: 4.9 stars on 354 pages. ASIN: B078GBPDBX. Please Note: Paperback Version is Also Available for $14.99. (Free for Kindle Unlimited) The Euclidian: Alien Hitman (Deal, Not Free) by Jay Cannon. Cost: $1.99. Genre: Fantasy Deal, Sponsor, Warlocks vs Demons. Rated: 4.6 stars 5 Reviews. 405 pages. ASIN: B071JKT785. ISBN: 1543035698. Get the Free edition (Same Book, different store) on Smashwords. *Intrinsic (Deal, Not Free) by Jerry Collins. Cost: $0.99. Genre: Science Fiction Deal, Sponsor, Ancient World. Rated: 4 stars on 40 Reviews. 177 pages. ASIN: B071XWBYQX. See the Epic Trailer Here! *(Free for Kindle Unlimited) Heaven Is a Gay Bar (Deal, Not Free) by Bryan Foreman. Cost: $2.99. Genre: Fiction Deal, Sponsor, Looking for Love, The Strange and Exciting World of Gay Men and Party Animals, As Experienced by a Shy Straight Man. Rated: 4.5 stars on 3 Reviews. 349 pages. ASIN: B072YDP98Y. *The Chapel Wedding (Deal, Not Free) by Benito Heyliger. Cost: $0.99. Genre: Romance Deal, Sponsor, Simple Romance, A Wedding on Aruba, Murphy’s Law, Can Love Prevail. Rated: 5 stars on 1 Reviews. 70 pages. ASIN: B074FVKSH2. *Legacy of Dreams: Freedom (Deal, Not Free) by Thomas J. L. Green. Cost: $0.99. Genre: Fantasy Deal, Sponsor, Sword & Sorcery, Great World Building. Rated: 4.6 stars on 3 Reviews. 546 pages. ASIN: B0753DTYWL. *Breaking Bonds: The Second Vampire War, Book One (Deal, Not Free) by Lori J. Kemper. Cost: $0.99. Genre: Fantasy Deal, Sponsor, Fantasy Superhero, Discovering Her abilities, Fighting Her Captors, Vampires in a Post Apocalyptic Wilderness, Some Adult Content. Rated: 4.2 stars on 3 Reviews. 429 pages. ASIN: B07565H45S. ISBN: 1549628054. *Project Managers at Work (Deal, Not Free) by Bruce Harpham. Cost: $16.19. Genre: Business Non Fiction Deal, Sponsor, Business & Money, Project Management Interviews, Learn from Top Project Managers. Rated: 5 stars on 3 Reviews. 316 pages. ASIN: B0756VGKZ1. It’s economical to get the paperback at $21.92. *30 Days to Launch! : An Entrepreneurs Diary To Building A Billion Dollar Business (Deal, Not Free) by Rick Steele. Cost: $0.99. Genre: Entrepreneurs Diary Deal, Sponsor, Build a Billion Dollar Business, Guide from Someone who Built One. Rated: 5 stars on 10 Reviews. 196 pages. ASIN: B075756W5D. *Carlo Gambino: Life Without the Mob: An Autobiography (Deal, Not Free) by Carlo Gambino. Cost: $4.99. Genre: Non Fiction Deal, Sponsor, True Story of a Life, Bronx to Vietnam to Madison Avenue. Rated: 5 stars on 6 Reviews. 217 pages. ASIN: B07579JZSD. *(Free for Kindle Unlimited) A WALK TO REVENGE: An explosive story of murder, corruption and manipulation (Deal, Not Free) by SAM THOMPSON. Cost: $4. Genre: Mystery Deal, Sponsor, Organized Crime, Corruption. Rated: 5 stars on 1 Reviews. 301 pages. ASIN: B0759WPHXL. *All the Way (Deal, Not Free) by Benito R. Heyliger. Cost: $0.99. Genre: MMF Romance Deal, Sponsor, A New Romantic Arrangement. Rated: 5 stars on 1 Reviews. 75 pages. ASIN: B075FRL67M. *The Good News Paradigm: The Gospel According To Jesus (Deal, Not Free) by J.C. Ward. Cost: $9.99. Genre: Christian Book Deal, Sponsor, Christian Bible, Christian Inspirational Fiction, Jesus Teaching, Get Deeper Understanding, Understand Meaning of Figurative Words, Bible Study. Rated: 5 stars on 1 Reviews. 158 pages. ASIN: B075KSDGXW. *The Queen of Paradise Valley (Deal, Not Free) by Cat Dubie. Cost: $0.99. Genre: Adult Historical Romance Deal, Sponsor, Shotgun Wedding, A Prison Sentence, A Man Back for Vengeance, A Ranch At Stake. 406 pages. ASIN: B075X58S8R. ISBN: 1509217541. Get the $18.99 Paperback Version Here! *The New America (Deal, Not Free) by Peter Harlan Figur. Cost: $0.99. Genre: Political Suspense Deal, Sponsor, Political Thriller, US and Russian Collusion, Threat of WW III. Rated: 4.5 stars on 8 Reviews. 497 pages. ASIN: B07681ZHXM. ***Pianist in a Bordello (Deal, Not Free) by Mike Erickson. Cost: $0.99. Genre: Historical Fiction Deal, Sponsor, Political Romp, Last 4 Decades of American History. Rated: 4.3 stars on 309 Reviews. 233 pages. ASIN: B015L7L5PA. ***Witch at Heart (A Jinx Hamilton Mystery Book 1) (Deal, Not Free) by Juliette Harper. Cost: $0.99. Genre: Fantasy Deal, Sponsor, Magical Realism. Rated: 4.7 stars on 376 Reviews. 234 pages. ASIN: B018Y0PZ8Y. ***(Free for Kindle Unlimited) Witch at Odds: A Jinx Hamilton Mystery Book 2 (The Jinx Hamilton Mysteries) (Deal, Not Free) by Juliette Harper. Cost: $2.99. Genre: Fantasy Deal, Sponsor, Magical Realism. Rated: 4.7 stars on 180 Reviews. 238 pages. ASIN: B01AYOAP5G. ***(Free for Kindle Unlimited) Witch at Last: A Jinx Hamilton Mystery Book 3 (The Jinx Hamilton Mysteries) (Deal, Not Free) by Juliette Harper. Cost: $2.99. Genre: Fantasy Deal, Sponsor, Magical Realism. Rated: 4.6 stars on 129 Reviews. 234 pages. ASIN: B01DMBX3A2. ***Memoirs of a Time Traveler (Time Amazon Book 1) (Deal, Not Free) by Doug Molitor. Cost: $0.99. Genre: Science Fiction Thriller Deal, Sponsor, Time Travel Thriller. Rated: 4.1 stars on 101 Reviews. 222 pages. ASIN: B078L82R4N. **(Free for Kindle Unlimited) Australian Memories: Discover Aussie Land and the Mysterious Red Center (Travels and Adventures of Ndeye Labadens Book 1) (Deal, Not Free) by Ndeye Labadens. Cost: $1.99. Genre: Non Fiction Deal, Sponsor, Travel, View Australia through the Author’s Eyes. Rated: 4.6 stars on 50 Reviews. 83 pages. ASIN: B01HR7OCIO. **Rose Petal Graves (The Lost Clan Book 1) (Deal, Not Free) by Olivia Wildenstein. Cost: $0.99. Genre: Historical Fantasy Deal, Sponsor, Secrets, USA Today Bestselling Author. Rated: 4.3 stars on 91 Reviews. 377 pages. ASIN: B01MR473RE. USA Today Bestselling Author Olivia Wildenstein. **(Free for Kindle Unlimited) Alien Invasion Sci-Fi Horror Thriller with Forbidden Love (Adult Horror Book): The Long, Lost Exit Home (Deal, Not Free) by Chris Roberts. Cost: $2.99. Genre: 8+ Romance Deal, Sponsor, Horror. Rated: 4.4 stars on 56 Reviews. 408 pages. ASIN: B075Z8HY29. **(Free for Kindle Unlimited) Wealth Building Secrets from the Bible: The Believer’s Journey to a Faithful, Generous, and Financially Free Life (Deal, Not Free) by Jonathan Geraci. Cost: $4.99. Genre: Christian Non Fiction Deal, Sponsor, Biblical Principles for Building Wealth, Achieve Financial Freedoms. Rated: 4.9 stars on 54 Reviews. 115 pages. ASIN: B0788D2F6V. **(Free for Kindle Unlimited) Millennial Views: A Conservative Millennial’s look in the age of Trump (Deal, Not Free) by S Foster. Cost: $4.99. Genre: Non Fiction Deal, Sponsor, A Conservative Millennial’s Views on The Age of Trump. Rated: 5 stars on 1 Reviews. 121 pages. ASIN: B0795BQMTG. Get it for $9.99 in Paperback, here. *To Earth and Back: The Afterlife (Deal, Not Free) by William Boardman. Price is: $2.99. Genres are: SciFi Romance Deal, Sponsor. At the onset of the Arab-Israeli War, a young Jewish-Christian woman has been rescued by an alien crew and awakens aboard a massive starship. *Secrets of the Purple Star Astrology (Deal, Not Free) by Eugene Lee. Cost: $23.99. Genre: Non Fiction Deal, Sponsor, Astrology, Chinese Astrology, Purple Star Astrology. Rated: 4 stars on 3 Reviews. 760 pages. ASIN: 1456302302. *Evolution of Insanity (Deal, Not Free) by Haresh Daswani. Cost: $4.99. Genre: Satire Deal, Sponsor, Humor, A journey Deep into the Consciousness. Rated: 4.7 stars on 12 Reviews. 216 pages. ASIN: B004GB0JXW. *Corporate Affairs: Codes of Misconduct (Deal, Not Free) by Reece. Cost: $7.99. Genre: 18+ Romance Deal, Sponsor, A Work place bursting at the seams with Flirtation and sexual Tension. Rated: 5 stars on 1 Reviews. 344 pages. ASIN: B005CM1MH6. *The Far Side of Silence (Deal, Not Free) by Robert B. Marcus Jr. Cost: $4.99. Genre: Military Thriller Deal, Sponsor, Clandestine and Experimental Operation to Save Russian President. Rated: 4.6 stars on 23 Reviews. 376 pages. ASIN: B00ENOVQSY. Get this book’s paperback’s version here. *Escape to Alaska by Mary Wasche. Cost: $4.99. Genre: Sweet Romance Deal, Sponsor, 1960s Alaska, A wife on the Run. Rated: 4.5 stars on 19 Reviews. 334 pages. ASIN: B00U9XDN6Q. If you’d like to get the Paperback Version, it’s available for $14 Here. *How to Catch a Mouse with No Cheese: Real World Lessons and Experiences from an Entrepreneur (Deal, Not Free) by Donnie P.. Cost: $0.99. Genre: Non Fiction Deal, Sponsor, Real World Lessons, Building a Company with limited to no Resources. Rated: 4 stars on 12 Reviews. 148 pages. ASIN: B01496BHXE. *Midnight’s Edge: The Secrets of Sleepy Meadows (Deal, Not Free) by David Chappuis. Cost: $0.99. Genre: Occult Horror Deal, Sponsor, At Midnight’s Edge The Veil Between the Living and the Dead Disappears. Rated: 5 stars on 4 Reviews. 213 pages. ASIN: B0174F4CQQ. *Secrets of Sand Mountain (Deal, Not Free) by Philip C. Elrod. Cost: $2.99. Genre: Adventure Deal, Sponsor, Secrets of Small Town Life, 1944, World War II. Rated: 4.8 stars on 21 Reviews. 416 pages. ASIN: B0198RCK3A. *(Free for Kindle Unlimited) Dragon Knight Chronicles Book 1: The Awakening (Deal, Not Free) by Andrew Wichland. Cost: $2.99. Genre: Fantasy Deal, Sponsor, Mythology. Rated: 4.5 stars on 16 Reviews. 122 pages. ASIN: B01GAFBQGA. *Playbook Strategy to stand out like a BUSINESS GIANT (Deal, Not Free) by Ndeye Labadens. Cost: $0.99. Genre: Non Fiction Deal, Sponsor, Business & Money, Business Success, Set Personal and Professional Goals, Make Your Small Business A Success. Rated: 4.4 stars on 7 Reviews. 102 pages. ASIN: B01M1BO08D. *First Kiss (Deal, Not Free) by Benito Heyliger. Cost: $0.99. Genre: Romance Deal, Sponsor, Coming of Age, Perfect Couple, Sweet Romance. Rated: 5 stars on 1 Reviews. 39 pages. ASIN: B01N12AABE. *Prayer for Peace: The Saga of a Korean War Survivor (Deal, Not Free) by Aesop Rhim. Cost: $9.99. Genre: Biographies & Memoirs Deal, Sponsor, Non Fiction, Religion & Spirituality. Rated: 5 stars on 1 Reviews. 190 pages. ASIN: B01N13A1WJ. *Skin (Deal, Not Free) by Rick Dallison. Cost: $5.99. Genre: Science Fiction Thriller Deal, Sponsor, Medical Thriller. Rated: 5 stars on 1 Reviews. 552 pages. ASIN: B01N2TMNA0. *Raising the Bottom: Making Mindful Choices in a Drinking Culture (Deal, Not Free) by Lisa Boucher. Cost: $8.69. Genre: Non Fiction Deal, Sponsor, Self Help, Personal Stories, Danger of Letting Drink Get to You. Rated: 5 stars on 24 Reviews. 278 pages. ASIN: B06WV7K44D. *Dreamscape by Kerry Reed. Cost: $0.99. Genre: Romance Fantasy Deal, Sponsor. Rated: 5 stars on 25 Reviews. 434 pages. ASIN: B06ZXZ74B4. *(Free for Kindle Unlimited) The Euclidian: Alien Hitman (Deal, Not Free) by Jay Cannon. Cost: $1.99. Genre: Hard Science Fiction Deal, Sponsor, Mystery, Alien Invasion. Rated: 4.6 stars 5 Reviews. 405 pages. ASIN: B071JKT785. ISBN: 1543035698. Get the Free edition (Same Book, different store) on Smashwords. *Intrinsic (Deal, Not Free) by Jerry Collins. Cost: $0.99. Genre: Epic Fantasy Deal, Sponsor, Myths & Legends. Rated: 4 stars on 40 Reviews. 177 pages. ASIN: B071XWBYQX. See the Epic Trailer Here! *Breaking Boundaries (Deal, Not Free) by M.A. Lee. Cost: $0.99. Genre: Adult Romance Deal, Sponsor, Super Sweet Couple. Rated: 4.1 stars on 29 Reviews. 266 pages. ASIN: B072ZQCNXF. *BEHIND CIVILISATION (Deal, Not Free) by GAVIN HUANG. Cost: $0.99. Genre: Non Fiction Deal, Sponsor, Nature of Human Civilization, Philosophy, New Age, Driving Force Behind Civilization. Rated: 5 stars on 1 Reviews. 349 pages. ASIN: B0732PBST4. *Kings Of This World (Deal, Not Free) by Peter Bailey. Cost: $5.39. Genre: SciFi Thriller Deal, Sponsor. Rated: 4.4 stars on 5 Reviews. 306 pages. ASIN: B073BZ1R2G. ISBN: 1548399469. *The Mystery of God: A Scriptural Picture of The End of This Age (Deal, Not Free) by Thomas Watts. Cost: $6.99. Genre: Christian Non Fiction Deal, Sponsor, Signs of the 2nd Coming of Jesus, Understand the Events of the Last Days. Rated: 4.7 stars on 9 Reviews. 133 pages. ASIN: B073GF6Q59. *Porcelain Faith (Deal, Not Free) by Anthony Civiletti. Cost: $0.99. Genre: Fiction Deal, Sponsor, An Honest Search for Real Answers, What is Love, What is Gender. Rated: 4.9 stars on 11 Reviews. 324 pages. ASIN: B0742H5RFL. *Evolution: New Human Abilities: Blugee, Book 1 of 4 by Edward Morse. Cost: Free. Genre: Science Fiction, Sponsor, Stumbling into Special Abilities, Abilities that might determine the Course of Human History. Rated: 4.6 stars on 3 Reviews. 310 pages. ASIN: B0743LQ5XP. ISBN: 1483471209. *Skilfully Created To Make A Difference: Learn How To Achieve Your Dreams And Leave A Legacy (Deal, Not Free) by Anita Walkinshaw. Cost: $7.99. Genre: Christian Self Help Deal, Sponsor, Christian Self Discovery, Self Improvements for Christians. Rated: 5 stars on 1 Reviews. 205 pages. ASIN: B074M6J65W. The Paperback is going for $17. *Breaking Bonds: The Second Vampire War, Book One (Deal, Not Free) by Lori J. Kemper. Cost: $0.99. Genre: Light Science Fiction Deal, Sponsor, Genetically Engineered Vampires, Some Adult content. Rated: 4.2 stars on 3 Reviews. 429 pages. ASIN: B07565H45S. ISBN: 1549628054. *Project Managers at Work (Deal, Not Free) by Bruce Harpham. Cost: $16.19. Genre: Non Fiction Deal, Sponsor, Business Skills, Project Management Wisdom and Insights, 25 Interviews. Rated: 5 stars on 3 Reviews. 316 pages. ASIN: B0756VGKZ1. It’s economical to get the paperback at $21.92. *30 Days to Launch! : An Entrepreneurs Diary To Building A Billion Dollar Business (Deal, Not Free) by Rick Steele. Cost: $0.99. Genre: Non Fiction Deal, Sponsor, Guide to Launching a Business, From Someone who Built an Inc 500 Billion Dollar Business. Rated: 5 stars on 10 Reviews. 196 pages. ASIN: B075756W5D. *Carlo Gambino: Life Without the Mob: An Autobiography (Deal, Not Free) by Carlo Gambino. Cost: $4.99. Genre: Biographies & Memoirs Deal, Sponsor, True Story, Non Fiction, The Mob Life. Rated: 5 stars on 6 Reviews. 217 pages. ASIN: B07579JZSD. *(Free for Kindle Unlimited) A WALK TO REVENGE: An explosive story of murder, corruption and manipulation (Deal, Not Free) by SAM THOMPSON. Cost: $4. Genre: Murder Mystery Deal, Sponsor, Organized Crime, Corruption. Rated: 5 stars on 1 Reviews. 301 pages. ASIN: B0759WPHXL. *All the Way (Deal, Not Free) by Benito R. Heyliger. Cost: $0.99. Genre: MMF Romance Deal, Sponsor, Gay and Bisexual Romance. Rated: 5 stars on 1 Reviews. 75 pages. ASIN: B075FRL67M. *The Good News Paradigm: The Gospel According To Jesus (Deal, Not Free) by J.C. Ward. Cost: $9.99. Genre: Christian Devotional Deal, Sponsor, Understand Meaning of Figurative Words, Bible Study. Rated: 5 stars on 1 Reviews. 158 pages. ASIN: B075KSDGXW. *The Fifth Trumpet: Fire in the Blood: An Angus McPherson Mystery (The Angus McPherson Mysteries Book 2) (Deal, Not Free) by Mark Stoub. Cost: $3.99. Genre: Christian Mystery Deal, Sponsor. Rated: 5 stars on 2 Reviews. 207 pages. ASIN: B076GRQSG7. ***Witch at Heart (A Jinx Hamilton Mystery Book 1) (Deal, Not Free) by Juliette Harper. Cost: $0.99. Genre: Supernatural Mystery Deal, Sponsor. Rated: 4.7 stars on 376 Reviews. 234 pages. ASIN: B018Y0PZ8Y. ***(Free for Kindle Unlimited) Witch at Odds: A Jinx Hamilton Mystery Book 2 (The Jinx Hamilton Mysteries) (Deal, Not Free) by Juliette Harper. Cost: $2.99. Genre: Supernatural Mystery Deal, Sponsor. Rated: 4.7 stars on 180 Reviews. 238 pages. ASIN: B01AYOAP5G. ***(Free for Kindle Unlimited) Witch at Last: A Jinx Hamilton Mystery Book 3 (The Jinx Hamilton Mysteries) (Deal, Not Free) by Juliette Harper. Cost: $2.99. Genre: Supernatural Mystery Deal, Sponsor. Rated: 4.6 stars on 129 Reviews. 234 pages. ASIN: B01DMBX3A2. ***(Free for Kindle Unlimited) Midnight Blue (Deal, Not Free) by L.J. Shen. Cost: $2.99. Genre: Adult Rockstar Romance Deal, Sponsor, USA Today Bestselling Author. Rated: 4.9 stars on 433 Reviews. 338 pages. ASIN: B0793DH5TP. USA Today Bestselling Author L.J. Shen. **(Free for Kindle Unlimited) Australian Memories: Discover Aussie Land and the Mysterious Red Center (Travels and Adventures of Ndeye Labadens Book 1) (Deal, Not Free) by Ndeye Labadens. Cost: $1.99. Genre: Travel Biographies and Memoirs Deal, Sponsor, A Journey through Australia. Rated: 4.6 stars on 50 Reviews. 83 pages. ASIN: B01HR7OCIO. **Rose Petal Graves (The Lost Clan Book 1) (Deal, Not Free) by Olivia Wildenstein. Cost: $0.99. Genre: YA Historical Fiction Deal, Sponsor, USA Today Bestselling Author, Ancient Civilization, Native American. Rated: 4.3 stars on 91 Reviews. 377 pages. ASIN: B01MR473RE. USA Today Bestselling Author Olivia Wildenstein. **A Queen’s Spy: A Medieval Historical Fiction Novel (Tudor Mystery Trials Series Book 1) (Deal, Not Free) by Sam Burnell. Cost: $0.99. Genre: Historical Romance Deal, Sponsor, Medieval Historical Romance. Rated: 4.3 stars on 65 Reviews. 222 pages. ASIN: B06ZZFBGNB. **(Free for Kindle Unlimited) Alien Invasion Sci-Fi Horror Thriller with Forbidden Love (Adult Horror Book): The Long, Lost Exit Home (Deal, Not Free) by Chris Roberts. Cost: $2.99. Genre: 18+ Romance Science Fiction Deal, Sponsor, First Contact, Horror, If you like Stephen King and Dean Koontz. Rated: 4.4 stars on 56 Reviews. 408 pages. ASIN: B075Z8HY29. *The Art of Sane Aging for Women (Deal, Not Free) by Camille Goscicki. Price is: $9.99. Genres are: Non Fiction Book Deal, Sponsor, Self-Improvement, How to Age Well. *Secrets of Sand Mountain (Deal, Not Free) by Philip C. Elrod. Cost: $2.99. Genre: Historical Fiction Deal, Sponsor, Historical Murder Mystery, 1944. Rated: 4.8 stars on 21 Reviews. 416 pages. ASIN: B0198RCK3A. *(Free for Kindle Unlimited) Dragon Knight Chronicles Book 1: The Awakening (Deal, Not Free) by Andrew Wichland. Cost: $2.99. Genre: Science Fiction Deal, Sponsor, A Young Boy embarks on a Journey, To Fight the Most Powerful Being in the Galaxy. Rated: 4.5 stars on 16 Reviews. 122 pages. ASIN: B01GAFBQGA. *Playbook Strategy to stand out like a BUSINESS GIANT (Deal, Not Free) by Ndeye Labadens. Cost: $0.99. Genre: Business Strategy Deal, Sponsor, Non Fiction, Business Success, Find Your WHY. Rated: 4.4 stars on 7 Reviews. 102 pages. ASIN: B01M1BO08D. *Dreamscape by Kerry Reed. Cost: $0.99. Genre: Romantic Fantasy Deal, Sponsor, Beautiful Story. Rated: 5 stars on 25 Reviews. 434 pages. ASIN: B06ZXZ74B4. *The Prick (Deal, Not Free) by D.C. Wales. Cost: $5.5. Genre: Legal Thriller Deal, Sponsor, Lawyers & Criminals, What’s is the truth. Rated: 4.5 stars on 20 Reviews. 329 pages. ASIN: B06ZZK4C1J. What’s is the truth? *(Free for Kindle Unlimited) The Euclidian: Alien Hitman (Deal, Not Free) by Jay Cannon. Cost: $1.99. Genre: Science Fiction Deal, Sponsor, First Contact, Alien Invasion. Rated: 4.6 stars 5 Reviews. 405 pages. ASIN: B071JKT785. ISBN: 1543035698. Get the Free edition (Same Book, different store) on Smashwords. *Epicurus and the pleasant life: Living by the philosophy of nature by Haris Dimitriadis. Cost: $0.99. Genre: Non Fiction Deal, Sponsor, Why Epicurean Philosophy of Nature Matters Today, Ancient Greek Philosophy. Rated: 4.4 stars on 25 Reviews. 518 pages. ASIN: B071KKHF3Y. *(Free for Kindle Unlimited) Heaven Is a Gay Bar (Deal, Not Free) by Bryan Foreman. Cost: $2.99. Genre: Fiction Deal, Sponsor, Gay Fiction, A Lonely Heterosexual Man looking for Love in the wrong Places. Rated: 4.5 stars on 3 Reviews. 349 pages. ASIN: B072YDP98Y. *Kings Of This World (Deal, Not Free) by Peter Bailey. Cost: $5.39. Genre: Hard Science Fiction Deal, Sponsor. Rated: 4.4 stars on 5 Reviews. 306 pages. ASIN: B073BZ1R2G. ISBN: 1548399469. *The Mystery of God: A Scriptural Picture of The End of This Age (Deal, Not Free) by Thomas Watts. Cost: $6.99. Genre: Christian Book Deal, Sponsor, End Times, Analysis of Biblical Prophecy. Rated: 4.7 stars on 9 Reviews. 133 pages. ASIN: B073GF6Q59. *Porcelain Faith (Deal, Not Free) by Anthony Civiletti. Cost: $0.99. Genre: Women’s Fiction Deal, Sponsor, Complicated Relationships, Get More and more Muddled. Rated: 4.9 stars on 11 Reviews. 324 pages. ASIN: B0742H5RFL. *The Chapel Wedding (Deal, Not Free) by Benito Heyliger. Cost: $0.99. Genre: Romance Deal, Sponsor, What does it take for a Perfect Love to Prevail, In Less than Perfect Circumstances. Rated: 5 stars on 1 Reviews. 70 pages. ASIN: B074FVKSH2. *Skilfully Created To Make A Difference: Learn How To Achieve Your Dreams And Leave A Legacy (Deal, Not Free) by Anita Walkinshaw. Cost: $7.99. Genre: Christian Self Help Deal, Sponsor, Christian Non Fiction, Accomplish Your Dreams, Identify Your Purpose, Achieve Your Dreams. Rated: 5 stars on 1 Reviews. 205 pages. ASIN: B074M6J65W. The Paperback is going for $17. *Breaking Bonds: The Second Vampire War, Book One (Deal, Not Free) by Lori J. Kemper. Cost: $0.99. Genre: Science Fiction Deal, Sponsor, Genetic Engineering, World of Genetically Engineered Vampires, Some Adult Content. Rated: 4.2 stars on 3 Reviews. 429 pages. ASIN: B07565H45S. ISBN: 1549628054. *Carlo Gambino: Life Without the Mob: An Autobiography (Deal, Not Free) by Carlo Gambino. Cost: $4.99. Genre: Non Fiction Deal, Sponsor, Interesting Life, Autobiography. Rated: 5 stars on 6 Reviews. 217 pages. ASIN: B07579JZSD. *(Free for Kindle Unlimited) A WALK TO REVENGE: An explosive story of murder, corruption and manipulation (Deal, Not Free) by SAM THOMPSON. Cost: $4. Genre: A Mystery Deal, Sponsor, Murder 23 years earlier unravels a Web of Deceit. Rated: 5 stars on 1 Reviews. 301 pages. ASIN: B0759WPHXL. *The Queen of Paradise Valley (Deal, Not Free) by Cat Dubie. Cost: $0.99. Genre: Adult Western Historical Romance Deal, Sponsor. 406 pages. ASIN: B075X58S8R. ISBN: 1509217541. Get the $18.99 Paperback Version Here! *The Fifth Trumpet: Fire in the Blood: An Angus McPherson Mystery (The Angus McPherson Mysteries Book 2) (Deal, Not Free) by Mark Stoub. Cost: $3.99. Genre: Spiritual Mystery Deal, Sponsor. Rated: 5 stars on 2 Reviews. 207 pages. ASIN: B076GRQSG7. *(Free for Kindle Unlimited) The Search for Cleo (The Last Time Traveler Book 4) (Deal, Not Free) by Aaron J. Ethridge. Cost: $4.99. Genre: Science Fiction Classics Deal, Sponsor. Rated: 5 stars on 1 Reviews. 308 pages. ASIN: B076L6LC4K. ***Pianist in a Bordello (Deal, Not Free) by Mike Erickson. Cost: $0.99. Genre: Political Fiction Deal, Sponsor, Entertaining and Thoughtful Novel, An Honest Politician caught up in American Politics. Rated: 4.3 stars on 309 Reviews. 233 pages. ASIN: B015L7L5PA. ***Witch at Heart (A Jinx Hamilton Mystery Book 1) (Deal, Not Free) by Juliette Harper. Cost: $0.99. Genre: Horror Deal, Sponsor, Ghosts. Rated: 4.7 stars on 376 Reviews. 234 pages. ASIN: B018Y0PZ8Y. ***(Free for Kindle Unlimited) Witch at Odds: A Jinx Hamilton Mystery Book 2 (The Jinx Hamilton Mysteries) (Deal, Not Free) by Juliette Harper. Cost: $2.99. Genre: Horror Deal, Sponsor, Ghosts. Rated: 4.7 stars on 180 Reviews. 238 pages. ASIN: B01AYOAP5G. ***(Free for Kindle Unlimited) Witch at Last: A Jinx Hamilton Mystery Book 3 (The Jinx Hamilton Mysteries) (Deal, Not Free) by Juliette Harper. Cost: $2.99. Genre: Horror Deal, Sponsor, Ghosts. Rated: 4.6 stars on 129 Reviews. 234 pages. ASIN: B01DMBX3A2. ***Play Along (Deal, Not Free) by T L Swan. Cost: $0.99. Genre: Adult Romance Deal, Sponsor, Hostage, Dark Romance. Rated: 4.7 stars on 180 Reviews. 415 pages. ASIN: B072KZJ7S7. ISBN: 1975895622. ***Enough (Iron Orchids Book 1) (Deal, Not Free) by Danielle Norman. Cost: $0.99. Genre: Adult Romance Deal, Sponsor, Death Taxes Lying Men. Rated: 4.6 stars on 117 Reviews. 262 pages. ASIN: B0764KRLN9. ***Memoirs of a Time Traveler (Time Amazon Book 1) (Deal, Not Free) by Doug Molitor. Cost: $0.99. Genre: Adventure Deal, Sponsor, Good Mix of historical Fiction and Fact. Rated: 4.1 stars on 101 Reviews. 222 pages. ASIN: B078L82R4N. **A Queen’s Spy: A Medieval Historical Fiction Novel (Tudor Mystery Trials Series Book 1) (Deal, Not Free) by Sam Burnell. Cost: $0.99. Genre: Historical Fiction Deal, Sponsor, Alternate History, 16th Century Tudor England. Rated: 4.3 stars on 65 Reviews. 222 pages. ASIN: B06ZZFBGNB. **(Free for Kindle Unlimited) Alien Invasion Sci-Fi Horror Thriller with Forbidden Love (Adult Horror Book): The Long, Lost Exit Home (Deal, Not Free) by Chris Roberts. Cost: $2.99. Genre: Science Fiction Deal, Sponsor, First Contact, Horror, If you like Stephen King and Dean Koontz. Rated: 4.4 stars on 56 Reviews. 408 pages. ASIN: B075Z8HY29. **(Free for Kindle Unlimited) Wealth Building Secrets from the Bible: The Believer’s Journey to a Faithful, Generous, and Financially Free Life (Deal, Not Free) by Jonathan Geraci. Cost: $4.99. Genre: Non Fiction Deal, Sponsor, Financial Freedom, Biblical Habits for Building Wealth, 5 Money Myths. Rated: 4.9 stars on 54 Reviews. 115 pages. ASIN: B0788D2F6V. **Snatching The Bride (Family of Love Series) (A Western Romance Story) (Deal, Not Free) by Elliee Atkinson. Cost: $0.99. Genre: Historical Western Romance Deal, Sponsor. Rated: 4.3 stars on 46 Reviews. 268 pages. ASIN: B078VPMBJY. **(Free for Kindle Unlimited) Millennial Views: A Conservative Millennial’s look in the age of Trump (Deal, Not Free) by S Foster. Cost: $4.99. Genre: Non Fiction Deal, Sponsor, Conservatism & Liberalism, A Conservative Millennial’s look in the age of Trump. Rated: 5 stars on 1 Reviews. 121 pages. ASIN: B0795BQMTG. Get it for $9.99 in Paperback, here. *Evolution of Insanity (Deal, Not Free) by Haresh Daswani. Cost: $4.99. Genre: Literary Fiction Deal, Sponsor, Journey into an Author’s Mind and Hallucinations and Eurekas. Rated: 4.7 stars on 12 Reviews. 216 pages. ASIN: B004GB0JXW. *Corporate Affairs: Codes of Misconduct (Deal, Not Free) by Reece. Cost: $7.99. Genre: 18+ Romance Deal, Sponsor, Families and Lives and Hearts at Stake. Rated: 5 stars on 1 Reviews. 344 pages. ASIN: B005CM1MH6. *Escape to Alaska by Mary Wasche. Cost: $4.99. Genre: Crime Thriller Deal, Sponsor, Mystery. Rated: 4.5 stars on 19 Reviews. 334 pages. ASIN: B00U9XDN6Q. If you’d like to get the Paperback Version, it’s available for $14 Here. *How to Catch a Mouse with No Cheese: Real World Lessons and Experiences from an Entrepreneur (Deal, Not Free) by Donnie P.. Cost: $0.99. Genre: Non Fiction Deal, Sponsor, How to, Get your Business Growing with no Money, Success Principles. Rated: 4 stars on 12 Reviews. 148 pages. ASIN: B01496BHXE. *Midnight’s Edge: The Secrets of Sleepy Meadows (Deal, Not Free) by David Chappuis. Cost: $0.99. Genre: Occult Horror Deal, Sponsor, Supernatural. Rated: 5 stars on 4 Reviews. 213 pages. ASIN: B0174F4CQQ. *Quality Assurance in Manufacturing: Explaining and Understanding (Deal, Not Free) by Louis Bevoc. Cost: $0.99. Genre: Quality Assurance Guide Deal, Sponsor, Non Fiction, Quality Assurance in Management. Rated: 5 stars on 1 Reviews. 43 pages. ASIN: B01G3R9HUM. *(Free for Kindle Unlimited) Dragon Knight Chronicles Book 1: The Awakening (Deal, Not Free) by Andrew Wichland. Cost: $2.99. Genre: Fantasy Deal, Sponsor, Good Vs Evil, A young Boy stars on a Long Preparation, A Journey to Fight the Black Dragon. Rated: 4.5 stars on 16 Reviews. 122 pages. ASIN: B01GAFBQGA. *Twitter Implosion (Deal, Not Free) by Douglas Fitzpatrick. Cost: $9.99. Genre: Twitter Guide Deal, Sponsor, Non Fiction, How To Make Money by Leveraging Twitter. Rated: 5 stars on 1 Reviews. 22 pages. ASIN: B01LVXFJVI. *How I Sell Thousands Of Products From Home Using The Internet (Deal, Not Free) by Douglas Fitzpatrick. Cost: $25.99. Genre: Non Fiction Deal, Sponsor, Business & Money, Home Based Entrepreneurship. Rated: 5 stars on 1 Reviews. 46 pages. ASIN: B01LY03J4F. ISBN: 1974635988. *Bourbon Chase, The San Francisco Mystery Series, Book 1 (Deal, Not Free) by Alexi Venice. Cost: $3.82. Genre: Adult Romance Deal, Sponsor, Adult Lesbian Romance. Rated: 4.7 stars on 34 Reviews. 430 pages. ASIN: B01MSDC8XQ. *Skin (Deal, Not Free) by Rick Dallison. Cost: $5.99. Genre: Science Fiction Thriller Deal, Sponsor,Medical Thriller. Rated: 5 stars on 1 Reviews. 552 pages. ASIN: B01N2TMNA0. *Raising the Bottom: Making Mindful Choices in a Drinking Culture (Deal, Not Free) by Lisa Boucher. Cost: $8.69. Genre: Non Fiction Deal, Sponsor, Drinking Culture, How to Overcome Alcoholism, Women Experiences on Alcoholism, Warning Signs of Alcohol Addiction. Rated: 5 stars on 24 Reviews. 278 pages. ASIN: B06WV7K44D. *Flings With Rings: Book One in The Twisted Rings Series (Deal, Not Free) by Katerina Sestakova Novotna. Cost: $0.99. Genre: Dark Humor Deal, Sponsor, Hawaiian beauty with a Strange Hobby. Rated: 4.4 stars on 16 Reviews. 107 pages. ASIN: B06XKG3R3Q. ISBN: 1544670311. *Dreamscape by Kerry Reed. Cost: $0.99. Genre: YA Fantasy Romance Deal, Sponsor. Rated: 5 stars on 25 Reviews. 434 pages. ASIN: B06ZXZ74B4. *Epicurus and the pleasant life: Living by the philosophy of nature by Haris Dimitriadis. Cost: $0.99. Genre: Non Fiction Deal, Sponsor, Epicurus, Natural Philosophy of Life, Philosophical Thought. Rated: 4.4 stars on 25 Reviews. 518 pages. ASIN: B071KKHF3Y. *Breaking Boundaries (Deal, Not Free) by M.A. Lee. Cost: $0.99. Genre: Adult Romance Deal, Sponsor. Rated: 4.1 stars on 29 Reviews. 266 pages. ASIN: B072ZQCNXF. *Porcelain Faith (Deal, Not Free) by Anthony Civiletti. Cost: $0.99. Genre: Gay Fiction Deal, Sponsor, What is Gender, What is Love. Rated: 4.9 stars on 11 Reviews. 324 pages. ASIN: B0742H5RFL. *Executable File (Deal, Not Free) by Dave Cohen. Cost: $0.99. Genre: Suspense Thriller Deal, Sponsor, Hacking Thriller, Framed for Double Murder. Rated: 5 stars on 2 Reviews. 355 pages. ASIN: B074YF2P3P. *Breaking Bonds: The Second Vampire War, Book One (Deal, Not Free) by Lori J. Kemper. Cost: $0.99. Genre: Fantasy Superheroes Deal, Sponsor, Vampires in a Post Apocalyptic Wilderness, some Adult Content. Rated: 4.2 stars on 3 Reviews. 429 pages. ASIN: B07565H45S. ISBN: 1549628054. *Project Managers at Work (Deal, Not Free) by Bruce Harpham. Cost: $16.19. Genre: Non Fiction Business Skills Deal, Sponsor, Wisdom from Great Project Managers, Insights into Project Management. Rated: 5 stars on 3 Reviews. 316 pages. ASIN: B0756VGKZ1. It’s economical to get the paperback at $21.92. ***Play Along (Deal, Not Free) by T L Swan. Cost: $0.99. Genre: Adult Romance Deal, Sponsor. Rated: 4.7 stars on 180 Reviews. 415 pages. ASIN: B072KZJ7S7. ISBN: 1975895622. ***Memoirs of a Time Traveler (Time Amazon Book 1) (Deal, Not Free) by Doug Molitor. Cost: $0.99. Genre: Science Fiction Deal, Sponsor, Steampunk, Time Travel. Rated: 4.1 stars on 101 Reviews. 222 pages. ASIN: B078L82R4N. **Relocation Without Dislocation: Make New friends and Keep The Old (Travels and Adventures of Ndeye Labadens Book 2) (Deal, Not Free) by Ndeye Labadens. Cost: $1. Genre: Non Fiction Deal, Sponsor, Guide to relocating well, What to do Before Moving to a New City or Country. Rated: 4.9 stars on 82 Reviews. 132 pages. ASIN: B01N46KEUT. **The Meek (Unbound Trilogy Book 1) (Deal, Not Free) by J.D. Palmer. Cost: $0.99. Genre: Dystopian Science Fiction Deal, Sponsor, Blurred Morality, What would you do to Protect Yourself. Rated: 4.9 stars on 64 Reviews. 406 pages. ASIN: B06Y2BWG9R. **(Free for Kindle Unlimited) Alien Invasion Sci-Fi Horror Thriller with Forbidden Love (Adult Horror Book): The Long, Lost Exit Home (Deal, Not Free) by Chris Roberts. Cost: $2.99. Genre: Horror Deal, Sponsor, If you like Dean Koontz. Rated: 4.4 stars on 56 Reviews. 408 pages. ASIN: B075Z8HY29. **Snatching The Bride (Family of Love Series) (A Western Romance Story) (Deal, Not Free) by Elliee Atkinson. Cost: $0.99. Genre: Sweet Clean Romance Deal, Sponsor. Rated: 4.3 stars on 46 Reviews. 268 pages. ASIN: B078VPMBJY. *Goodbye Obesity: Kiss Obesity Goodbye and Say Hello to Holistic wellness (Deal, Not Free) by Jean D. Francois MD. Cost: $8.48. Genre: Non Fiction Deal, Sponsor, Holistic Wellness, Ways to Keep the Weight Off. Rated: 5 stars on 1 Reviews. 212 pages. ASIN: 1548631876. *The Far Side of Silence (Deal, Not Free) by Robert B. Marcus Jr. Cost: $4.99. Genre: Political Suspense Deal, Sponsor, Spies &amp; Politics, Did Russia Shoot Down Air Force One. Rated: 4.6 stars on 23 Reviews. 376 pages. ASIN: B00ENOVQSY. Get this book’s paperback’s version here. *Your Health At Your Fingertips: A Simplified and Holistic Approach to a Healthy and Bountiful Life. (Deal, Not Free) by Jean Daniel Francois. Cost: $11.99. Genre: Health Deal, Sponsor, Fitness, Non Fiction, Holistic Health Guide from a MD. Rated: 5 stars on 1 Reviews. 274 pages. ASIN: B00KVRFO3U. ISBN: 1500130540. See paperback at $4.97. *Escape to Alaska by Mary Wasche. Cost: $4.99. Genre: Historical Fiction Deal, Sponsor. Rated: 4.5 stars on 19 Reviews. 334 pages. ASIN: B00U9XDN6Q. If you’d like to get the Paperback Version, it’s available for $14 Here. *Springtime In Hades (Deal, Not Free) by Henry Romel Guy . Cost: $0.99. Genre: Romance Deal, Sponsor, Tragic Tales, Shattered Dreams. Rated: 4.7 stars on 17 Reviews. 64 pages. ASIN: B00WNG98CK. *Midnight’s Edge: The Secrets of Sleepy Meadows (Deal, Not Free) by David Chappuis. Cost: $0.99. Genre: Occult Horror Deal, Sponsor, At Midnight the Veil between the Living & the Dead Disappears, Dead can Return to Mortal World, Supernatural. Rated: 5 stars on 4 Reviews. 213 pages. ASIN: B0174F4CQQ. *Secrets of Sand Mountain (Deal, Not Free) by Philip C. Elrod. Cost: $2.99. Genre: Murder Mystery Deal, Sponsor, Murder, Dark Family Heritage. Rated: 4.8 stars on 21 Reviews. 416 pages. ASIN: B0198RCK3A. *(Free for Kindle Unlimited) Dragon Knight Chronicles Book 1: The Awakening (Deal, Not Free) by Andrew Wichland. Cost: $2.99. Genre: YA Fantasy Deal, Sponsor. Rated: 4.5 stars on 16 Reviews. 122 pages. ASIN: B01GAFBQGA. *Bourbon Chase, The San Francisco Mystery Series, Book 1 (Deal, Not Free) by Alexi Venice. Cost: $3.82. Genre: Adult Mystery Deal, Sponsor, Suspense. Rated: 4.7 stars on 34 Reviews. 430 pages. ASIN: B01MSDC8XQ. *Skin (Deal, Not Free) by Rick Dallison. Cost: $5.99. Genre: Science Fiction Deal, Sponsor, 2019, Dystopian Science Fiction. Rated: 5 stars on 1 Reviews. 552 pages. ASIN: B01N2TMNA0. *(Free for Kindle Unlimited) The Euclidian: Alien Hitman (Deal, Not Free) by Jay Cannon. Cost: $1.99. Genre: Science Fiction Deal, Sponsor, Alien Invasion. Rated: 4.6 stars 5 Reviews. 405 pages. ASIN: B071JKT785. ISBN: 1543035698. Get the Free edition (Same Book, different store) on Smashwords. *Epicurus and the pleasant life: Living by the philosophy of nature by Haris Dimitriadis. Cost: $0.99. Genre: Non Fiction Deal, Sponsor, Natural Philosophy of Life, Ancient & Modern Understanding of Happiness. Rated: 4.4 stars on 25 Reviews. 518 pages. ASIN: B071KKHF3Y. *Intrinsic (Deal, Not Free) by Jerry Collins. Cost: $0.99. Genre: Horror Deal, Sponsor, Dark Fantasy. Rated: 4 stars on 40 Reviews. 177 pages. ASIN: B071XWBYQX. See the Epic Trailer Here! *If Nobody Listens (Deal, Not Free) by Rikard Sommer. Cost: $0.99. Genre: Technothriller Deal, Sponsor, Nordic Thriller. Rated: 4.4 stars on 9 Reviews. 275 pages. ASIN: B072N3Z81S. *(Free for Kindle Unlimited) Heaven Is a Gay Bar (Deal, Not Free) by Bryan Foreman. Cost: $2.99. Genre: Biographical Fiction Deal, Sponsor, A Straight Man meets 3 Amazing Women, In a Gay Nightclub, Heaven is a Place on Earth. Rated: 4.5 stars on 3 Reviews. 349 pages. ASIN: B072YDP98Y. *Breaking Boundaries (Deal, Not Free) by M.A. Lee. Cost: $0.99. Genre: 18+ Romance Deal, Sponsor, Romance and Spice. Rated: 4.1 stars on 29 Reviews. 266 pages. ASIN: B072ZQCNXF. *BEHIND CIVILISATION (Deal, Not Free) by GAVIN HUANG. Cost: $0.99. Genre: Non Fiction Deal, Sponsor, Laws governing the Universe, Also Govern Human Civilization. Rated: 5 stars on 1 Reviews. 349 pages. ASIN: B0732PBST4. *Kings Of This World (Deal, Not Free) by Peter Bailey. Cost: $5.39. Genre: Technothriller Deal, Sponsor . Rated: 4.4 stars on 5 Reviews. 306 pages. ASIN: B073BZ1R2G. ISBN: 1548399469. *The Mystery of God: A Scriptural Picture of The End of This Age (Deal, Not Free) by Thomas Watts. Cost: $6.99. Genre: Christian Non Fiction Deal, Sponsor, When will the church be raptured?. Rated: 4.7 stars on 9 Reviews. 133 pages. ASIN: B073GF6Q59. *Understanding Universal Laws: The Magic Behind the Law of Attraction (Deal, Not Free) by Janet Hosmer. Cost: $4.95. Genre: Simple Guide to Manifestation and Law of Attraction Deal, Sponsor, Understanding Universal Laws of Alchemy. Rated: 5 stars on 4 Reviews. 45 pages. ASIN: B073SXCB5X. *Blood Vector: We Never Understood The Warning (Deal, Not Free) by Robert Kiesling. Cost: $0.99. Genre: Thriller Deal, Sponsor, Suspense, Alien Thriller, Imminent Destruction of Man. Rated: 5 stars on 6 Reviews. 212 pages. ASIN: B0743MW2DX. *Armageddon and Beyond by Adam Declerck. Cost: Free. Genre: Christian Science Fiction Deal, Sponsor, Christian Futuristic, Post Apocalyptic. Rated: 5 stars on 1 Reviews. 895 pages. ASIN: B074CSFYHW. *(Free for Kindle Unlimited) The Bloodstone Reckoning (Deal, Not Free) by Michael Wigington. Cost: $2.99. Genre: YA Epic Fantasy Deal, Sponsor. Rated: 4.6 stars on 6 Reviews. 286 pages. ASIN: B074Q51GB9. *Executable File (Deal, Not Free) by Dave Cohen. Cost: $0.99. Genre: Thriller Deal, Sponsor, Mystery, Computer Hacker, Falsely Framed. Rated: 5 stars on 2 Reviews. 355 pages. ASIN: B074YF2P3P. *30 Days to Launch! : An Entrepreneurs Diary To Building A Billion Dollar Business (Deal, Not Free) by Rick Steele. Cost: $0.99. Genre: Entrepreneurs Diary Deal, Sponsor, How to Build a Billion Dollar Business, 30 Days to Launch. Rated: 5 stars on 10 Reviews. 196 pages. ASIN: B075756W5D. ***Witch at Heart (A Jinx Hamilton Mystery Book 1) (Deal, Not Free) by Juliette Harper. Cost: $0.99. Genre: Mystery Deal, Sponsor. Rated: 4.7 stars on 376 Reviews. 234 pages. ASIN: B018Y0PZ8Y. ***(Free for Kindle Unlimited) Witch at Odds: A Jinx Hamilton Mystery Book 2 (The Jinx Hamilton Mysteries) (Deal, Not Free) by Juliette Harper. Cost: $2.99. Genre: Mystery Deal, Sponsor. Rated: 4.7 stars on 180 Reviews. 238 pages. ASIN: B01AYOAP5G. ***(Free for Kindle Unlimited) Witch at Last: A Jinx Hamilton Mystery Book 3 (The Jinx Hamilton Mysteries) (Deal, Not Free) by Juliette Harper. Cost: $2.99. Genre: Mystery Deal, Sponsor. Rated: 4.6 stars on 129 Reviews. 234 pages. ASIN: B01DMBX3A2. ***Play Along (Deal, Not Free) by T L Swan. Cost: $0.99. Genre: Adult Romantic Suspense Deal, Sponsor, Sea Stories. Rated: 4.7 stars on 180 Reviews. 415 pages. ASIN: B072KZJ7S7. ISBN: 1975895622. ***Enough (Iron Orchids Book 1) (Deal, Not Free) by Danielle Norman. Cost: $0.99. Genre: Adult Contemporary Romance Deal, Sponsor, Sagas. Rated: 4.6 stars on 117 Reviews. 262 pages. ASIN: B0764KRLN9. ***Memoirs of a Time Traveler (Time Amazon Book 1) (Deal, Not Free) by Doug Molitor. Cost: $0.99. Genre: Action & Adventure Deal, Sponsor, Time Travel. Rated: 4.1 stars on 101 Reviews. 222 pages. ASIN: B078L82R4N. ***(Free for Kindle Unlimited) Midnight Blue (Deal, Not Free) by L.J. Shen. Cost: $2.99. Genre: Adult Romance Deal, Sponsor, USA Today Bestselling Author. Rated: 4.9 stars on 433 Reviews. 338 pages. ASIN: B0793DH5TP. USA Today Bestselling Author L.J. Shen. **Relocation Without Dislocation: Make New friends and Keep The Old (Travels and Adventures of Ndeye Labadens Book 2) (Deal, Not Free) by Ndeye Labadens. Cost: $1. Genre: How to Relocate Guide Book Deal, Sponsor, Relocation Guide, Move to a New Country and Embrace the Move. Rated: 4.9 stars on 82 Reviews. 132 pages. ASIN: B01N46KEUT. **The Meek (Unbound Trilogy Book 1) (Deal, Not Free) by J.D. Palmer. Cost: $0.99. Genre: Dystopian Science Fiction Deal, Sponsor, An Unknown Disease, A Darkening Landscape, Fraught with Violence and Despair. Rated: 4.9 stars on 64 Reviews. 406 pages. ASIN: B06Y2BWG9R. **A Queen’s Spy: A Medieval Historical Fiction Novel (Tudor Mystery Trials Series Book 1) (Deal, Not Free) by Sam Burnell. Cost: $0.99. Genre: Medieval Historical Fiction Deal, Sponsor, Tudor England, Renaissance, 1550s. Rated: 4.3 stars on 65 Reviews. 222 pages. ASIN: B06ZZFBGNB. **Illegal: A True Story of Love, Revolution and Crossing Borders (Deal, Not Free) by John Dennehy. Cost: $0.99. Genre: Biographies & Memoirs Deal, Sponsor, Non Fiction. Rated: 4.9 stars on 51 Reviews. 237 pages. ASIN: B074FYB6V7. **(Free for Kindle Unlimited) Alien Invasion Sci-Fi Horror Thriller with Forbidden Love (Adult Horror Book): The Long, Lost Exit Home (Deal, Not Free) by Chris Roberts. Cost: $2.99. Genre: Horror Deal, Sponsor, Dark Fantasy, If you like Dean Koontz. Rated: 4.4 stars on 56 Reviews. 408 pages. ASIN: B075Z8HY29. **(Free for Kindle Unlimited) Wealth Building Secrets from the Bible: The Believer’s Journey to a Faithful, Generous, and Financially Free Life (Deal, Not Free) by Jonathan Geraci. Cost: $4.99. Genre: Christian Book Deal, Sponsor, Biblical Holistic View on Wealth, 4 Secrets from the Bible. Rated: 4.9 stars on 54 Reviews. 115 pages. ASIN: B0788D2F6V. **Snatching The Bride (Family of Love Series) (A Western Romance Story) (Deal, Not Free) by Elliee Atkinson. Cost: $0.99. Genre: Not Christian Just Clean Romance Deal, Sponsor, Historical Western Romance. Rated: 4.3 stars on 46 Reviews. 268 pages. ASIN: B078VPMBJY. **(Free for Kindle Unlimited) Millennial Views: A Conservative Millennial’s look in the age of Trump (Deal, Not Free) by S Foster. Cost: $4.99. Genre: Nonfiction Book Deal, Sponsor, Politics & Government, Political Ideologies, Conservatism & Liberalism, A Conservative Millennial’s look in the age of Trump. Rated: 5 stars on 1 Reviews. 121 pages. ASIN: B0795BQMTG. Get it for $9.99 in Paperback, here. *The Art of Sane Aging for Women (Deal, Not Free) by Camille Goscicki. Cost is: $9.99. Genres are: Non Fiction Book Deal, Sponsor, Self-Improvement, How to Age Well. *The Far Side of Silence (Deal, Not Free) by Robert B. Marcus Jr. Cost: $4.99. Genre: Political Suspense Deal, Sponsor, Spies & Politics, Did Russia Shoot Down Air Force One. Rated: 4.6 stars on 23 Reviews. 376 pages. ASIN: B00ENOVQSY. Get this book’s paperback’s version here. *Escape to Alaska by Mary Wasche. Cost: $4.99. Genre: Crime Thriller Deal, Sponsor, Historical Thriller, 1960s Alaska. Rated: 4.5 stars on 19 Reviews. 334 pages. ASIN: B00U9XDN6Q. If you’d like to get the Paperback Version, it’s available for $14 Here. *How to Catch a Mouse with No Cheese: Real World Lessons and Experiences from an Entrepreneur by Donnie P.. Cost: $2.99. Genre: Non Fiction Deal, Sponsor, Real World Lessons and Experiences from an Entrepreneur, Startups, Getting Your Business Off the Ground when you have very little Money. Rated: 4 stars on 12 Reviews. 148 pages. ASIN: B01496BHXE. *(Free for Kindle Unlimited) Dragon Knight Chronicles Book 1: The Awakening (Deal, Not Free) by Andrew Wichland. Cost: $2.99. 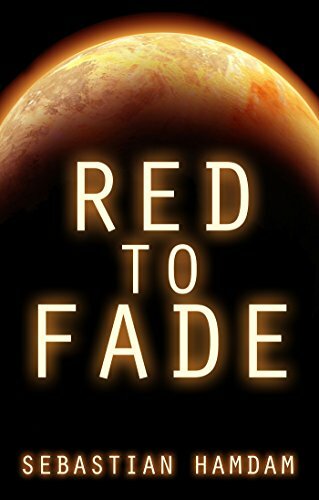 Genre: Science Fiction Deal, Sponsor, Space Travel Adventures. Rated: 4.5 stars on 16 Reviews. 122 pages. ASIN: B01GAFBQGA. *Twitter Implosion (Deal, Not Free) by Douglas Fitzpatrick. Cost: $9.99. Genre: Twitter Guide Deal, Sponsor, Make Money Using Twitter, Twitter Entrepreneurship. Rated: 5 stars on 1 Reviews. 22 pages. ASIN: B01LVXFJVI. *How I Sell Thousands Of Products From Home Using The Internet (Deal, Not Free) by Douglas Fitzpatrick. Cost: $25.99. Genre: Non Fiction Deal, Sponsor, Entrepreneurship, Home Based. Rated: 5 stars on 1 Reviews. 46 pages. ASIN: B01LY03J4F. ISBN: 1974635988. *Bourbon Chase, The San Francisco Mystery Series, Book 1 (Deal, Not Free) by Alexi Venice. Cost: $3.82. Genre: Murder Mystery Deal, Sponsor, Mystery & Detective, Adult Content. Rated: 4.7 stars on 34 Reviews. 430 pages. ASIN: B01MSDC8XQ. *(Free for Kindle Unlimited) Doctor How and the Alien Invasion (Deal, Not Free) by Mark Speed. Cost: $3.99. Genre: Time Time Travel Science Fiction Deal, Sponsor, Humorous Science Fiction. Rated: 5 stars on 3 Reviews. 324 pages. ASIN: B06XF6DLBV. *The Prick (Deal, Not Free) by D.C. Wales. Cost: $5.5. Genre: Legal Thriller Written by a Lawyer Deal, Sponsor. Rated: 4.5 stars on 20 Reviews. 329 pages. ASIN: B06ZZK4C1J. What’s is the truth? *(Free for Kindle Unlimited) The Euclidian: Alien Hitman (Deal, Not Free) by Jay Cannon. Cost: $1.99. Genre: Mystery Deal, Sponsor, Alien Invasion. Rated: 4.6 stars 5 Reviews. 405 pages. ASIN: B071JKT785. ISBN: 1543035698. Get the Free edition (Same Book, different store) on Smashwords. *Epicurus and the pleasant life: Living by the philosophy of nature by Haris Dimitriadis. Cost: $0.99. Genre: Non Fiction Deal, Sponsor, Why Epicurean Philosophy of Nature Matters today, History of Philosophical Thought. Rated: 4.4 stars on 25 Reviews. 518 pages. ASIN: B071KKHF3Y. *Mantis Force: Retribution (Marium Kahnet Book 1) (Deal, Not Free) by r.j. amezcua. Cost: $2.99. Genre: Hard Science Fiction Deal, Sponsor, A Vast Universe, Epic. Rated: 5 stars on 1 Reviews. 152 pages. ASIN: B071Y8DH4R. *Anti-Inflammatory Diet for Beginners: The Ultimate Guide to Fight Inflammation & Boost Your Immune System (Restore health, Reduce inflamation, Lose weight, Healthy life) (Deal, Not Free) by Jonathan Smith. Cost: $0.99. Genre: Cookbook Deal, Sponsor, Non Fiction, Anti Inflammation Cookbook, Health Book. Rated: 4.4 stars on 6 Reviews. 95 pages. ASIN: B073C2VPNW. *Understanding Universal Laws: The Magic Behind the Law of Attraction (Deal, Not Free) by Janet Hosmer. Cost: $4.95. Genre: Non Fiction Deal, Sponsor, Ancient Universal Laws, Manifestation, Thoughts into Things, Take Control, Change Your Mind. Rated: 5 stars on 4 Reviews. 45 pages. ASIN: B073SXCB5X. *Porcelain Faith (Deal, Not Free) by Anthony Civiletti. Cost: $0.99. Genre: Literary Fiction Deal, Sponsor, Story about Love, Faith & Personal Conflict, Modern Ethical Issues. Rated: 4.9 stars on 11 Reviews. 324 pages. ASIN: B0742H5RFL. ***Pianist in a Bordello (Deal, Not Free) by Mike Erickson. Cost: $0.99. Genre: Political Humor Deal, Sposnor, Literary Fiction, Wonderful First Novel, Kirkus Reviews Approves. Rated: 4.3 stars on 309 Reviews. 233 pages. ASIN: B015L7L5PA. ***Witch at Heart (A Jinx Hamilton Mystery Book 1) (Deal, Not Free) by Juliette Harper. Cost: $0.99. Genre: Light Hearted Mystery Deal, Sponsor. Rated: 4.7 stars on 376 Reviews. 234 pages. ASIN: B018Y0PZ8Y. ***(Free for Kindle Unlimited) Witch at Odds: A Jinx Hamilton Mystery Book 2 (The Jinx Hamilton Mysteries) (Deal, Not Free) by Juliette Harper. Cost: $2.99. Genre: Light Hearted Mystery Deal, Sponsor. Rated: 4.7 stars on 180 Reviews. 238 pages. ASIN: B01AYOAP5G. ***(Free for Kindle Unlimited) Witch at Last: A Jinx Hamilton Mystery Book 3 (The Jinx Hamilton Mysteries) (Deal, Not Free) by Juliette Harper. Cost: $2.99. Genre: Light Hearted Mystery Deal, Sponsor. Rated: 4.6 stars on 129 Reviews. 234 pages. ASIN: B01DMBX3A2. ***Enough (Iron Orchids Book 1) (Deal, Not Free) by Danielle Norman. Cost: $0.99. Genre: Adult Military Romance Deal, Sponsor. Rated: 4.6 stars on 117 Reviews. 262 pages. ASIN: B0764KRLN9. ***Memoirs of a Time Traveler (Time Amazon Book 1) (Deal, Not Free) by Doug Molitor. Cost: $0.99. Genre: Time Travel Thriller Deal, Sponsor. Rated: 4.1 stars on 101 Reviews. 222 pages. ASIN: B078L82R4N. ***Under the Lights: A thrilling, second-chance romance duet. (Bright Lights Book 1) (Deal, Not Free) by Tia Louise. Cost: $0.99. Genre: Adult Romance Deal, Sponsor, Adult Contemporary Romance, USA Today Bestselling Author. Rated: 4.5 stars on 179 Reviews. 325 pages. ASIN: B078RV6X6C. ISBN: 1981705805. USA Today Bestselling Author Tia Louise. ***(Box Set Deal, Not Free) Desire: A Contemporary Romance Box Set (Deal, Not Free) by R.R. Banks. Cost: $0.99. Genre: Adult Bad Boy Romance Box Set Deal, Sponsor, 5 Book Box Set, Adult Billionaire Romance. Rated: 4.7 stars on 197 Reviews. 999 pages. ASIN: B07915S7MQ. USA Today Bestselling Author R.R. Banks. **Relocation Without Dislocation: Make New friends and Keep The Old (Travels and Adventures of Ndeye Labadens Book 2) (Deal, Not Free) by Ndeye Labadens. Cost: $1. Genre: Non Fiction Guide Deal, Sponsor, Guide to Relocating, Guide to Moving to a New Country or Culture. Rated: 4.9 stars on 82 Reviews. 132 pages. ASIN: B01N46KEUT. **The Meek (Unbound Trilogy Book 1) (Deal, Not Free) by J.D. Palmer. Cost: $0.99. Genre: Science Fiction Deal, Sponsor, A Quiet End to the World. Rated: 4.9 stars on 64 Reviews. 406 pages. ASIN: B06Y2BWG9R. **Illegal: A True Story of Love, Revolution and Crossing Borders (Deal, Not Free) by John Dennehy. Cost: $0.99. Genre: Non Fiction Deal, Sponsor, True Story of Love and Upheaval, Something Worth Fighting For. Rated: 4.9 stars on 51 Reviews. 237 pages. ASIN: B074FYB6V7. **(Free for Kindle Unlimited) Alien Invasion Sci-Fi Horror Thriller with Forbidden Love (Adult Horror Book): The Long, Lost Exit Home (Deal, Not Free) by Chris Roberts. Cost: $2.99. Genre: Science Fiction Deal, Sponsor, Horror. Rated: 4.4 stars on 56 Reviews. 408 pages. ASIN: B075Z8HY29. **Snatching The Bride (Family of Love Series) (A Western Romance Story) (Deal, Not Free) by Elliee Atkinson. Cost: $0.99. Genre: Clean Romance Deal, Sponsor, Tyrannical brother. Rated: 4.3 stars on 46 Reviews. 268 pages. ASIN: B078VPMBJY. **A Bride in Hiding (Ladies of The Frontier) (A Western Romance Book) (Deal, Not Free) by Leah Laurens. Cost: $0.99. Genre: Christian Romance Deal, Sponsor, Preachers Wife Romance, Set in the American West. Rated: 4.6 stars on 59 Reviews. 373 pages. ASIN: B078WVQ8F9. *Truth & Reality – A Life Choice for All Mankind. by Monte J Perepelkin. Price is: Free. Genres are: Christian Non Fiction, Sponsor, Scientific Evidence, Truth about Our Creator, revealing a crystal clear understanding of our Creator and what he has planned for the future of humanity. *Evolution of Insanity (Deal, Not Free) by Haresh Daswani. Cost: $4.99. Genre: Literary Fiction Deal, Sponsor, Imagination and Sanity of the Writer, Unique Writing Style. Rated: 4.7 stars on 12 Reviews. 216 pages. ASIN: B004GB0JXW. *Corporate Affairs: Codes of Misconduct (Deal, Not Free) by Reece. Cost: $7.99. Genre: 18+ Romance Deal, Sponsor, Can you make a conscious decision to resist violating company policies. Rated: 5 stars on 1 Reviews. 344 pages. ASIN: B005CM1MH6. *The Far Side of Silence (Deal, Not Free) by Robert B. Marcus Jr. Cost: $4.99. Genre: Political Thriller Deal, Sponsor, Air Force One Shot Down, No Survivors. Rated: 4.6 stars on 23 Reviews. 376 pages. ASIN: B00ENOVQSY. Get this book’s paperback’s version here. *Escape to Alaska by Mary Wasche. Cost: $4.99. Genre: Sweet Romance Deal, Sponsor, Escaping to Alaska from Minnesota. Rated: 4.5 stars on 19 Reviews. 334 pages. ASIN: B00U9XDN6Q. If you’d like to get the Paperback Version, it’s available for $14 Here. *Springtime In Hades (Deal, Not Free) by Henry Romel Guy . Cost: $0.99. Genre: Romance Deal, Sponsor, Flashback, Opening Old Wounds, 30 Years Ago. Rated: 4.7 stars on 17 Reviews. 64 pages. ASIN: B00WNG98CK. *How to Catch a Mouse with No Cheese: Real World Lessons and Experiences from an Entrepreneur by Donnie P.. Cost: 2.99. Genre: Non Fiction Deal, Sponsor, Real World Lessons and Experiences from an Entrepreneur, Startups, Getting Your Business Off the Ground when you have very little Money. Rated: 4 stars on 12 Reviews. 148 pages. ASIN: B01496BHXE. *Midnight’s Edge: The Secrets of Sleepy Meadows (Deal, Not Free) by David Chappuis. Cost: $0.99. Genre: Horror Deal, Sponsor, An Evil Husband, In the Spirit Realm, Plots Revenge Against His Wife and Those who Wronged Hum. Rated: 5 stars on 4 Reviews. 213 pages. ASIN: B0174F4CQQ. *Out of the Darkness – A Psychological Thriller (Deal, Not Free) by J. Stoute. Cost: $0.99. Genre: Psychological Thriller Deal, Sponsor, Crime Thriller, Serial Killers. Rated: 5 stars on 7 Reviews. 442 pages. ASIN: B017Y2JG3I. *Secrets of Sand Mountain (Deal, Not Free) by Philip C. Elrod. Cost: $2.99. Genre: Historical Thrille Deal, Sponsor, Escaped German POW, World War II. Rated: 4.8 stars on 21 Reviews. 416 pages. ASIN: B0198RCK3A. *Quality Assurance in Manufacturing: Explaining and Understanding (Deal, Not Free) by Louis Bevoc. Cost: $0.99. Genre: Quality Assurance Guide Deal, Sponsor, Non Fiction, Quality Assurance Guide. Rated: 5 stars on 1 Reviews. 43 pages. ASIN: B01G3R9HUM. *Twitter Implosion (Deal, Not Free) by Douglas Fitzpatrick. Cost: $9.99. Genre: Money Making Guide Using Twitter Deal, Sponsor, Web based Entrepreneurship. Rated: 5 stars on 1 Reviews. 22 pages. ASIN: B01LVXFJVI. *How I Sell Thousands Of Products From Home Using The Internet (Deal, Not Free) by Douglas Fitzpatrick. Cost: $25.99. Genre: Non Fiction Deal, Sponsor, Entrepreneurship, Home Based Entrepreneurship, Sell from Home, Make Money from Home. Rated: 5 stars on 1 Reviews. 46 pages. ASIN: B01LY03J4F. ISBN: 1974635988. *Bourbon Chase, The San Francisco Mystery Series, Book 1 (Deal, Not Free) by Alexi Venice. Cost: $3.82. Genre: Lesbian Mystery Deal, Sponsor, Adult Content, Suspense, Tension. Rated: 4.7 stars on 34 Reviews. 430 pages. ASIN: B01MSDC8XQ. *Raising the Bottom: Making Mindful Choices in a Drinking Culture (Deal, Not Free) by Lisa Boucher. Cost: $8.69. Genre: Self Help Deal, Sponsor, Parenting & Relationship, Addiction & Recovery, Alcoholism. Rated: 5 stars on 24 Reviews. 278 pages. ASIN: B06WV7K44D. *(Free for Kindle Unlimited) Doctor How and the Alien Invasion (Deal, Not Free) by Mark Speed. Cost: $3.99. Genre: Time Travel Thriller Deal, Sponsor, Science Fiction Thriller. Rated: 5 stars on 3 Reviews. 324 pages. ASIN: B06XF6DLBV. *Rare Species: Tilted Earth: Book I (Deal, Not Free) by D.S. Campagna. Cost: $2.99. Genre: Post Apocalyptic Science Fiction Deal, Sponsor, Cyborg of Chaos, Elites Trying to Wipe Out Humans on Earth. Rated: 5 stars on 3 Reviews. 263 pages. ASIN: B06XZWWVRZ. *Intrinsic (Deal, Not Free) by Jerry Collins. Cost: $0.99. Genre: Science Fiction Deal, Sponsor, Horror. Rated: 4 stars on 40 Reviews. 177 pages. ASIN: B071XWBYQX. See the Epic Trailer Here! *(Free for Kindle Unlimited) Heaven Is a Gay Bar (Deal, Not Free) by Bryan Foreman. Cost: $2.99. Genre: Literary Fiction Deal, Sponsor, A heterosexual Man finds His Dream Girl in a Gay Nightclub, Biographical Fiction. Rated: 4.5 stars on 3 Reviews. 349 pages. ASIN: B072YDP98Y. ***Pianist in a Bordello (Deal, Not Free) by Mike Erickson. Cost: $0.99. Genre: Political Fiction Deal, Sponsor, Hilarious Political Romp, Last 4 Decades of American History. Rated: 4.3 stars on 309 Reviews. 233 pages. ASIN: B015L7L5PA. ***Witch at Heart (A Jinx Hamilton Mystery Book 1) (Deal, Not Free) by Juliette Harper. Cost: $0.99. Genre: Fantasy Deal, Sponsor, Paranormal, Quirky. Rated: 4.7 stars on 376 Reviews. 234 pages. ASIN: B018Y0PZ8Y. ***(Free for Kindle Unlimited) Witch at Odds: A Jinx Hamilton Mystery Book 2 (The Jinx Hamilton Mysteries) (Deal, Not Free) by Juliette Harper. Cost: $2.99. Genre: Fantasy Deal, Sponsor, Paranormal, Quirky. Rated: 4.7 stars on 180 Reviews. 238 pages. ASIN: B01AYOAP5G. ***(Free for Kindle Unlimited) Witch at Last: A Jinx Hamilton Mystery Book 3 (The Jinx Hamilton Mysteries) (Deal, Not Free) by Juliette Harper. Cost: $2.99. Genre: Fantasy Deal, Sponsor, Paranormal, Quirky. Rated: 4.6 stars on 129 Reviews. 234 pages. ASIN: B01DMBX3A2. ***Enough (Iron Orchids Book 1) (Deal, Not Free) by Danielle Norman. Cost: $0.99. Genre: Adult Mystery Deal, Sponsor, Police Procedural, Adult Content. Rated: 4.6 stars on 117 Reviews. 262 pages. ASIN: B0764KRLN9. ***Under the Lights: A thrilling, second-chance romance duet. (Bright Lights Book 1) (Deal, Not Free) by Tia Louise. Cost: $0.99. Genre: Steamy Contemporary Romance Deal, Sponsor, USA Today Bestselling Author. Rated: 4.5 stars on 179 Reviews. 325 pages. ASIN: B078RV6X6C. ISBN: 1981705805. USA Today Bestselling Author Tia Louise. ***Dirty Deeds (Irresistible Book 3) (Deal, Not Free) by Stella Rhys. Cost: $0.99. Genre: Adult Second Chance Romance Deal, Sponsor, Contemporary Romance, Roommates for the Summer. Rated: 4.6 stars on 336 Reviews. 300 pages. ASIN: B078S5WW3N. ***(Box Set Deal, Not Free) Desire: A Contemporary Romance Box Set (Deal, Not Free) by R.R. Banks. Cost: $0.99. Genre: Adult Romance Box Set Deal, Sponsor, 5 Book Box Set. Rated: 4.7 stars on 197 Reviews. 999 pages. ASIN: B07915S7MQ. USA Today Bestselling Author R.R. Banks. **Bowl of Fruit (1907) (Deal, Not Free) by Panayotis Cacoyannis. Cost: $0.99. Genre: Literary Fiction Deal, Sponsor, Magical Realism, Psychological Fiction. Rated: 4.1 stars on 118 Reviews. 231 pages. ASIN: B0142CQC8A. **Relocation Without Dislocation: Make New friends and Keep The Old (Travels and Adventures of Ndeye Labadens Book 2) (Deal, Not Free) by Ndeye Labadens. Cost: $1. Genre: Biographies & Memoirs Deal, Sponsor, Travel, Non Fiction. Rated: 4.9 stars on 82 Reviews. 132 pages. ASIN: B01N46KEUT. **The Meek (Unbound Trilogy Book 1) (Deal, Not Free) by J.D. Palmer. Cost: $0.99. Genre: Science Fiction Adventure Deal, Sponsor, The Cost of Survival. Rated: 4.9 stars on 64 Reviews. 406 pages. ASIN: B06Y2BWG9R. **A Queen’s Spy: A Medieval Historical Fiction Novel (Tudor Mystery Trials Series Book 1) (Deal, Not Free) by Sam Burnell. Cost: $0.99. Genre: Medieval Historical Romance Deal, Sponsor. Rated: 4.3 stars on 65 Reviews. 222 pages. ASIN: B06ZZFBGNB. **Illegal: A True Story of Love, Revolution and Crossing Borders (Deal, Not Free) by John Dennehy. Cost: $0.99. Genre: Non Fiction Deal, Sponsor, True Story of Love and Deception, Revolutions and Deportations, A Young American in Ecuador, Something worth fighting For. Rated: 4.9 stars on 51 Reviews. 237 pages. ASIN: B074FYB6V7. **(Free for Kindle Unlimited) Alien Invasion Sci-Fi Horror Thriller with Forbidden Love (Adult Horror Book): The Long, Lost Exit Home (Deal, Not Free) by Chris Roberts. Cost: $2.99. Genre: Science Fiction Deal, Sponsor, Alien Invasion, First Contact. Rated: 4.4 stars on 56 Reviews. 408 pages. ASIN: B075Z8HY29. **SORCERERS’ DYNASTY (Deal, Not Free) by Stephen Perkins. Cost: $2.99. Genre: Terrorism Thriller Deal, Sponsor, Conspiracy or Reality. Rated: 4.2 stars on 58 Reviews. 296 pages. ASIN: B076C1FVHV. **(Free for Kindle Unlimited) Wealth Building Secrets from the Bible: The Believer’s Journey to a Faithful, Generous, and Financially Free Life (Deal, Not Free) by Jonathan Geraci. Cost: $4.99. Genre: Christian Living Deal, Sponsor, Stewardship, Leadership, Financial Freedom based on Biblical Principles and Insights. Rated: 4.9 stars on 54 Reviews. 115 pages. ASIN: B0788D2F6V. **Snatching The Bride (Family of Love Series) (A Western Romance Story) (Deal, Not Free) by Elliee Atkinson. Cost: $0.99. Genre: Clean Historical Western Romance Deal, Sponsor. Rated: 4.3 stars on 46 Reviews. 268 pages. ASIN: B078VPMBJY. **A Bride in Hiding (Ladies of The Frontier) (A Western Romance Book) (Deal, Not Free) by Leah Laurens. Cost: $0.99. Genre: Christian Historical Romance Deal, Sponsor. Rated: 4.6 stars on 59 Reviews. 373 pages. ASIN: B078WVQ8F9. *Simplified ID Theft – Did You Know In the Next Minute, 30 People Will Become Victims of Identity Theft? Don’t Be a Victim. Get The Solution! (Deal, Not Free) by JM Paul. Price is: $9.99. Genres are: Non Fiction Book Deal, Sponsor, Avoid Identity Theft, Keep Your Identity Secure Online, Keep Yourself Safe. Buy It Here. Please Note: Get a discount by using code – BooksButterfly. $3.95 for first 30 buyers. Next 70 buyers get a discounted price too. $9.95. *Goodbye Obesity: Kiss Obesity Goodbye and Say Hello to Holistic wellness (Deal, Not Free) by Jean D. Francois MD. Cost: $8.48. Genre: Health and Fitness Deal, Sponsor,, Non Fiction, Simple Steps to Get Rid of Obesity. Rated: 5 stars on 1 Reviews. 212 pages. ASIN: 1548631876. *(Free for Kindle Unlimited) The Brave Unicorn – Failure Is Not the End, But the Beginning (Deal, Not Free) by Rayfil King Wong. Cost: $1.99. Genre: Children’s Book Deal, Sponsor,f2nn Bedtime Stories, Beautiful Illustrations. Rated: 4.5 stars on 36 Reviews. ASIN: B00AIDZOBY. See the Book’s Website. Suitable for ages 5-12. *Your Health At Your Fingertips: A Simplified and Holistic Approach to a Healthy and Bountiful Life. (Deal, Not Free) by Jean Daniel Francois. Cost: $11.99. Genre: Non Fiction Deal, Sponsor, Prevent Chronic Diseases, Be Fit from Head to Toe. Rated: 5 stars on 1 Reviews. 274 pages. ASIN: B00KVRFO3U. ISBN: 1500130540. See paperback at $4.97. *Escape to Alaska by Mary Wasche. Cost: $4.99. Genre: Historical Fiction Deal, Sponsor, 1960s Alaska. Rated: 4.5 stars on 19 Reviews. 334 pages. ASIN: B00U9XDN6Q. If you’d like to get the Paperback Version, it’s available for $14 Here. *Springtime In Hades (Deal, Not Free) by Henry Romel Guy . Cost: $0.99. Genre: Historical Romance Deal, Sponsor, 1984, Virginia. Rated: 4.7 stars on 17 Reviews. 64 pages. ASIN: B00WNG98CK. *Gates to Tangier (Deal, Not Free) by Mois Benarroch, Sara Maria Hasbun. Cost: $0.99. Genre: Historical Fiction Deal, Sponsor, Alternative History. Rated: 4 stars on 25 Reviews. 156 pages. ASIN: B011JQVGRY. *Raquel Says (Something Entirely Unexpected) (Deal, Not Free) by Mois Benarroch, Sally Seward. Cost: $0.99. Genre: Clean Romance Deal, Sponsor, Sweet Romance. Rated: 5 stars on 1 Reviews. 92 pages. ASIN: B015ESB6AA. *Out of the Darkness – A Psychological Thriller (Deal, Not Free) by J. Stoute. Cost: $0.99. Genre: Crime Thriller Deal, Sponsor, Serial Killer, Abuse and Mental Illness, When Things Snap. Rated: 5 stars on 7 Reviews. 442 pages. ASIN: B017Y2JG3I. *Secrets of Sand Mountain (Deal, Not Free) by Philip C. Elrod. Cost: $2.99. Genre: Adventure Deal, Sponsor, Summer of 1944, Intrigue, Dark Family Heritage. Rated: 4.8 stars on 21 Reviews. 416 pages. ASIN: B0198RCK3A. *The House of Twelve (Deal, Not Free) by Sean Davies, Laura Costa. Cost: $0.99. Genre: Psychological Thriller Deal, Sponsor, Psychological Suspense, Morbid Thriller. Rated: 5 stars on 1 Reviews. 121 pages. ASIN: B01CC4OJP8. *Hurst: A Post-Apocalyptic Thriller (The Hurst Chronicles Book 1) (Deal, Not Free) by Robin Crumby. Cost: $0.99. Genre: Dystopian Science Fiction Deal, Sponsor, If you like The Road, Station Eleven. Rated: 4.3 stars on 41 Reviews. 432 pages. ASIN: B01E5G8Q2S. *(Free for Kindle Unlimited) The Hands Resist Him: Be Careful What You Bid For (Deal, Not Free) by Darren Kyle O’Neill. Cost: $2.99. Genre: Non Fiction Deal, Sponsor, True Story, Careful What You Bid For. Rated: 4.2 stars on 17 Reviews. 210 pages. ASIN: B01G7LCSO6. *Catch A Falling Star (The CASA Chronicles Book 1) (Deal, Not Free) by Keith Julius. Cost: $0.99. Genre: African American Fiction Deal, Sponsor, A Mother of 3 beings a difficult recovery from Heroin Addiction. Rated: 4.6 stars on 3 Reviews. 315 pages. ASIN: B01GKQKWLY. *Twitter Implosion (Deal, Not Free) by Douglas Fitzpatrick. Cost: $9.99. Genre: Make Money from Your Website Deal, Sponsor, By Leveraging Twitter. Rated: 5 stars on 1 Reviews. 22 pages. ASIN: B01LVXFJVI. *How I Sell Thousands Of Products From Home Using The Internet (Deal, Not Free) by Douglas Fitzpatrick. Cost: $25.99. Genre: Non Fiction Deal, Sponsor, Home Based Entrepreneurship, A Plan to Sell Products from Home and Make Money. Rated: 5 stars on 1 Reviews. 46 pages. ASIN: B01LY03J4F. ISBN: 1974635988. *Bourbon Chase, The San Francisco Mystery Series, Book 1 (Deal, Not Free) by Alexi Venice. Cost: $3.82. Genre: Adult Romantic Suspense Deal, Sponsor. Rated: 4.7 stars on 34 Reviews. 430 pages. ASIN: B01MSDC8XQ. *Skin (Deal, Not Free) by Rick Dallison. Cost: $5.99. Genre: Suspense Thriller Deal, Sponsor, Medical Thriller, A Deadly Virus, An Unlikely Savior. Rated: 5 stars on 1 Reviews. 552 pages. ASIN: B01N2TMNA0. *The Nature of Gods: The Awakening (Deal, Not Free) by D.J. Torres. Cost: $0.99. Genre: YA Fantasy Deal, Sponsor, Myths, Survival Stories, Fairy Tales. Rated: 4.5 stars on 22 Reviews. 317 pages. ASIN: B06WGT9JXV. *(Free for Kindle Unlimited) Doctor How and the Alien Invasion (Deal, Not Free) by Mark Speed. Cost: $3.99. Genre: Time Travel Science Fiction Deal, Sponsor, Humorous Science Fiction. Rated: 5 stars on 3 Reviews. 324 pages. ASIN: B06XF6DLBV. *Mantis Force: Retribution (Marium Kahnet Book 1) (Deal, Not Free) by r.j. amezcua. Cost: $2.99. Genre: Science Fiction Deal, Sponsor, Soap Opera, Epic. Rated: 5 stars on 1 Reviews. 152 pages. ASIN: B071Y8DH4R. *BEHIND CIVILISATION (Deal, Not Free) by GAVIN HUANG. Cost: $0.99. Genre: Non Fiction Deal, Sponsor, Human Civilization as a Part of the Evolution of the Universe. Rated: 5 stars on 1 Reviews. 349 pages. ASIN: B0732PBST4. *Anti-Inflammatory Diet for Beginners: The Ultimate Guide to Fight Inflammation & Boost Your Immune System (Restore health, Reduce inflamation, Lose weight, Healthy life) (Deal, Not Free) by Jonathan Smith. Cost: $0.99. Genre: Non Fiction Cookbook Deal, Sponsor, Anti Inflammatory Diet, Fight Inflammation, Boost Your Immune System. Rated: 4.4 stars on 6 Reviews. 95 pages. ASIN: B073C2VPNW. *Understanding Universal Laws: The Magic Behind the Law of Attraction (Deal, Not Free) by Janet Hosmer. Cost: $4.95. Genre: How to Manifest Things Deal, Sponsor, Law of Attraction, Universal Laws, Ancient Knowledge Underlying The Law of attraction. Rated: 5 stars on 4 Reviews. 45 pages. ASIN: B073SXCB5X. *Blood Vector: We Never Understood The Warning (Deal, Not Free) by Robert Kiesling. Cost: $0.99. Genre: Alien Thriller Deal, Sponsor, An Alien Internet, Threat to Thriller, Rollercoaster Ride, Suspense. Rated: 5 stars on 6 Reviews. 212 pages. ASIN: B0743MW2DX. *Armageddon and Beyond (Deal, Not Free) by Adam Declerck. Cost: $0.99. Genre: Science Fiction Deal, Sponsor, Blood and Gore, Legions, Destruction, Judgement. Rated: 5 stars on 1 Reviews. 895 pages. ASIN: B074CSFYHW.